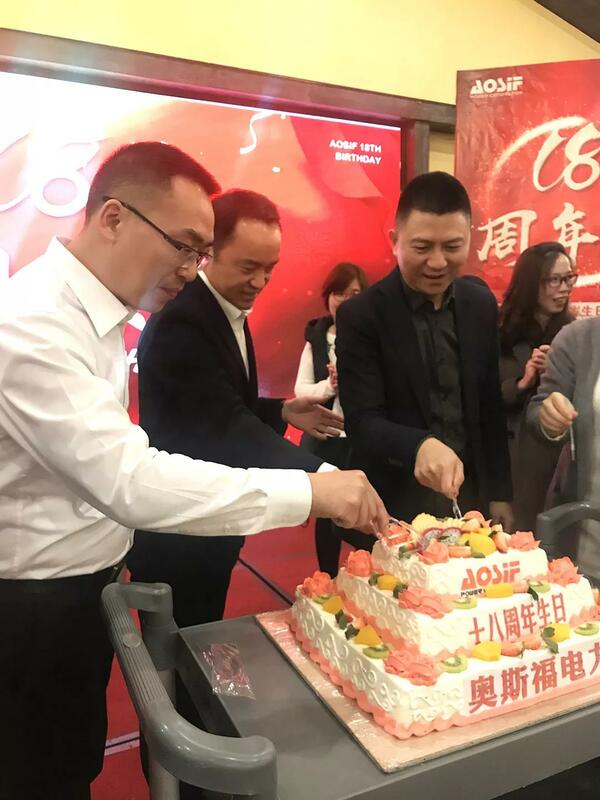 On April 15, the 125th China Import and Export Commodities Fair (hereinafter referred to as the "Canton Fair") opened at Pazhou International Convention and Exhibition Center in Guangzhou. 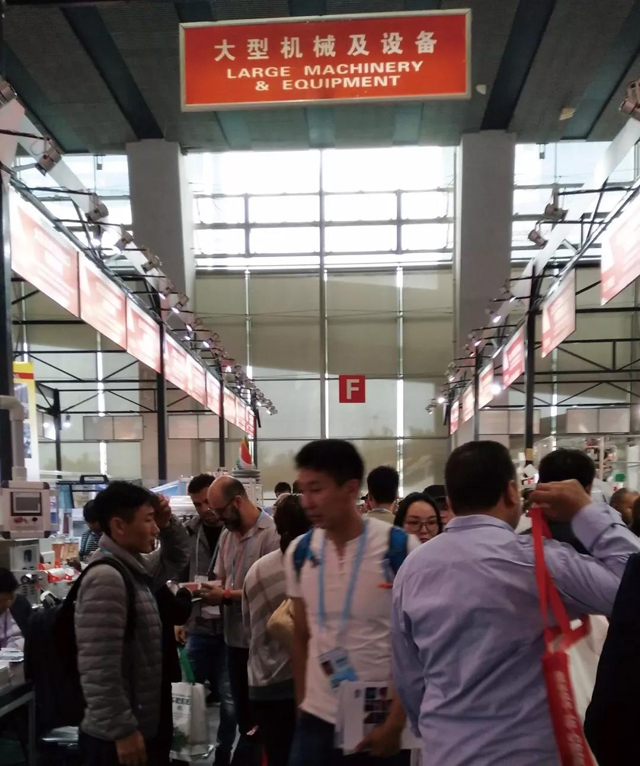 It is a comprehensive international trade event with the longest history, the highest level, the largest scale, the most variety of commodities, the largest number of visitors and the best trading effect in China. 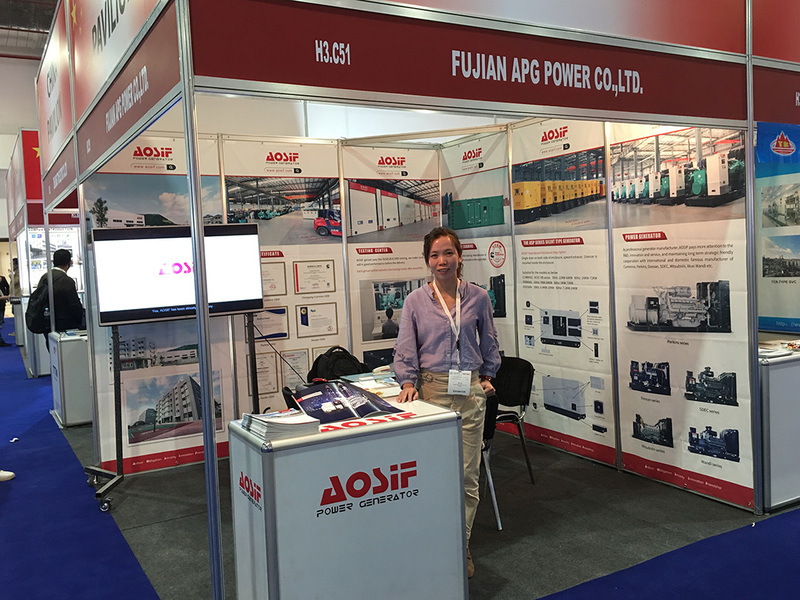 Our stand is located at the exhibition area of the Power and Electricity Equipment with the booth number of 3.1G40-42. 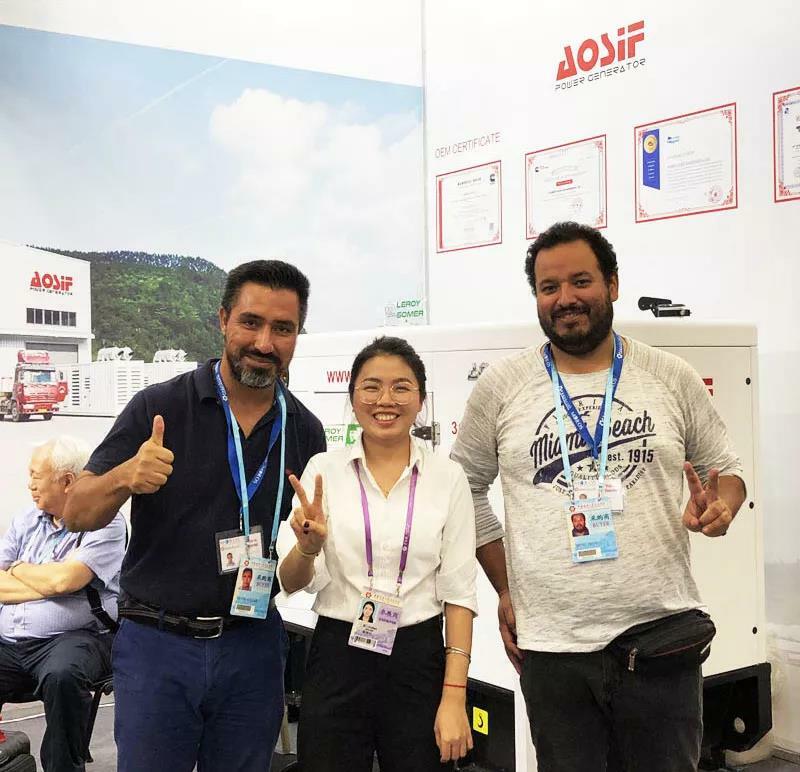 As one of the permanent exhibitors of the Fairs, AOSIF has received a steady stream of customers, and will serve you with an ingenious and refined heart. 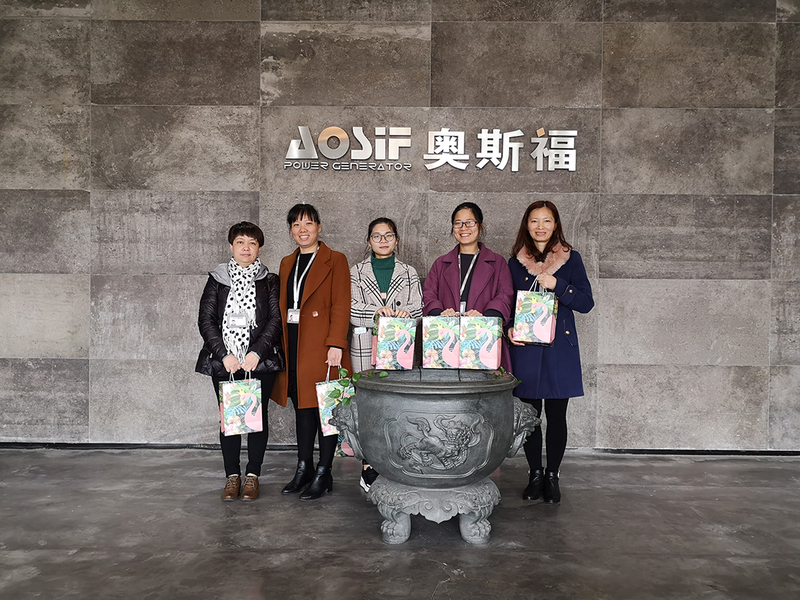 AOSIF has been moving towards innovation for change, seeking new comprehensive competitiveness in product development and other aspects, building a strong R&D team at home, improving product quality for market, and strengthening to form an after-sales service team. 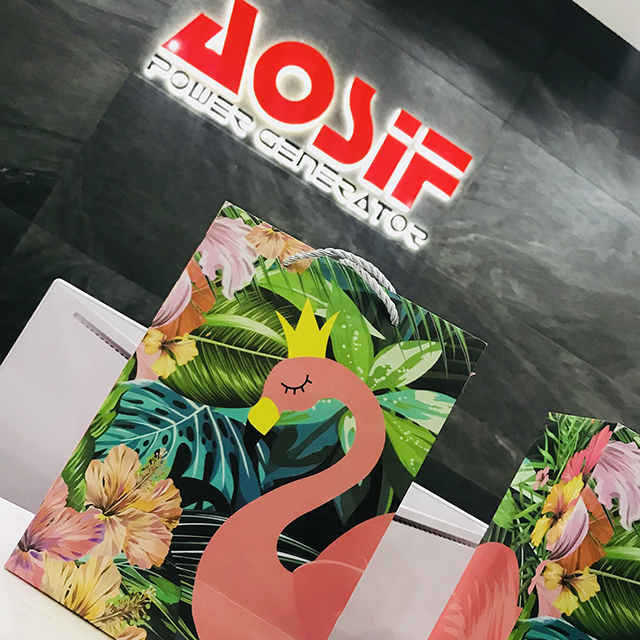 This time AOSIF displays three models of products in the exhibition with beautiful in appearance and excellent in quality, which have attracted and caught the eyes of many visitors from abroad, brought new surprises to exhibitors at home and abroad, and totally demonstrated AOSIF's unremitting pursuit. 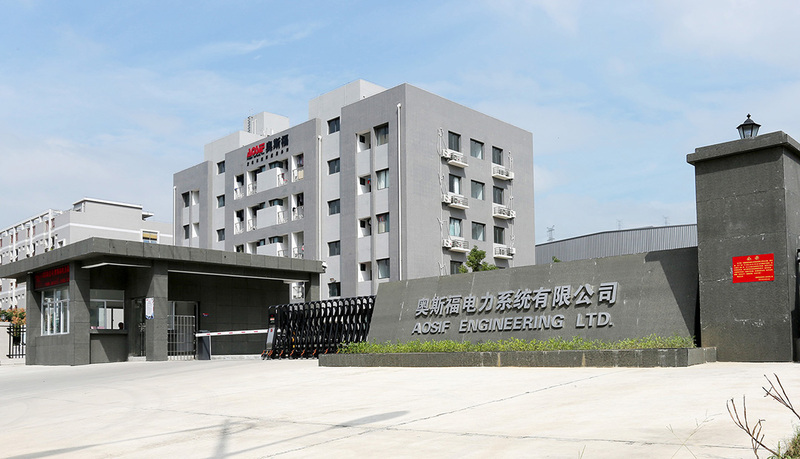 AOSIF has established a long-term brand development strategy. 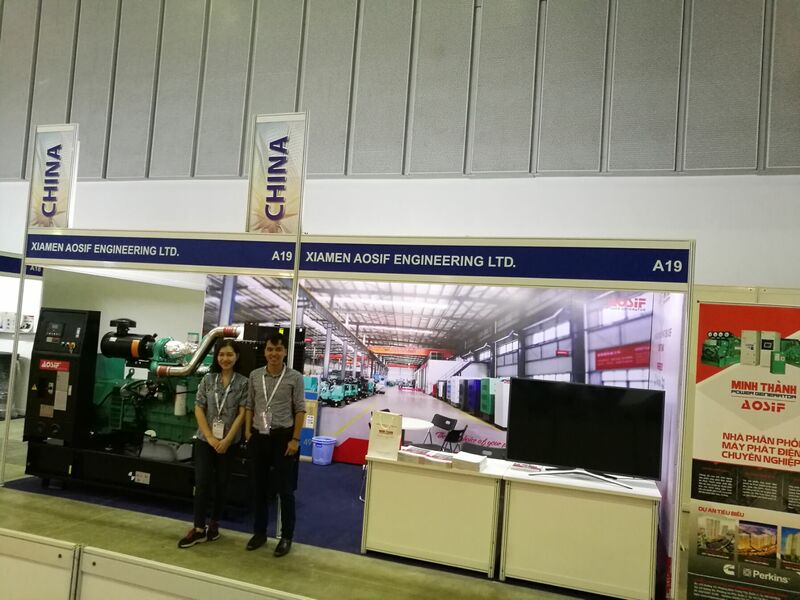 Through the Canton Fair, we have fully demonstrated our lean manufacturing ability and high-quality brand charm. 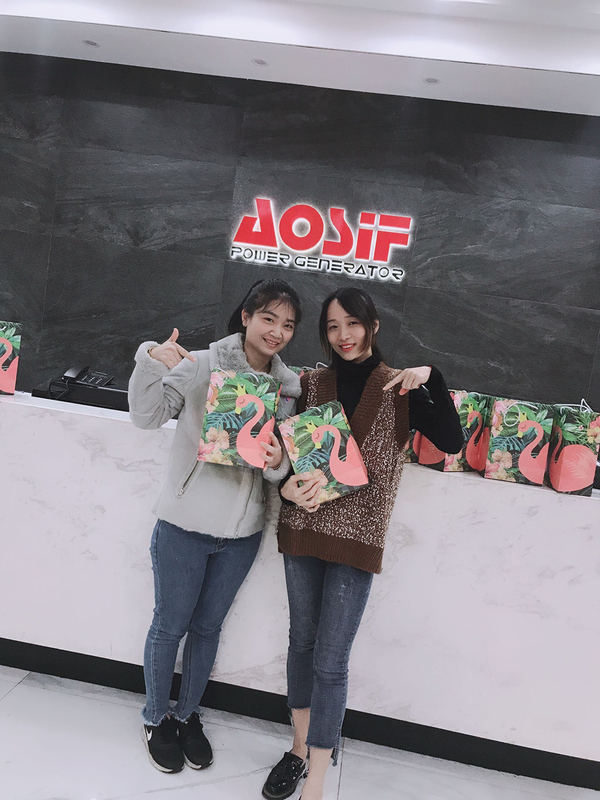 Thank you to the customers who have always supported and loved AOSIF. 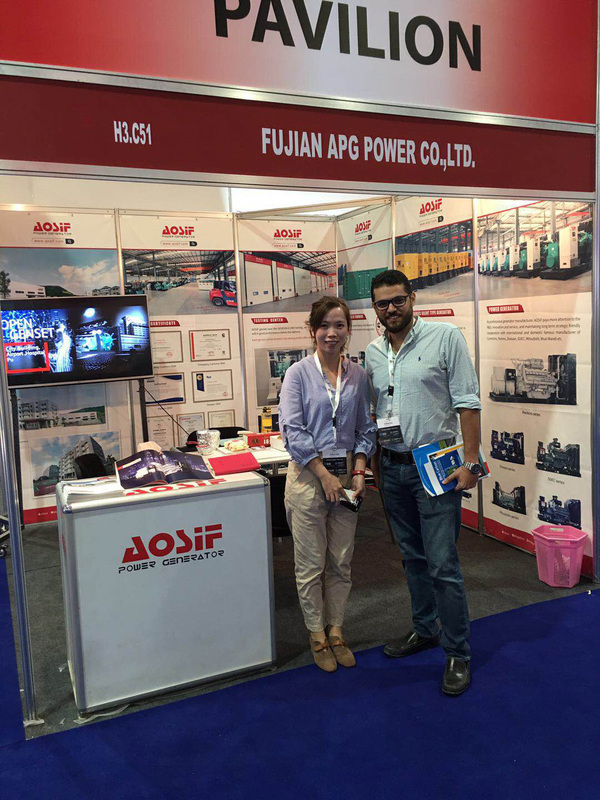 Thanks a lot to AOSIF's marketing team for their solidarity and cohesion. Thanks to all AOSIF's colleagues for their silent efforts and hard working. Goodbye and see you in next Fair! 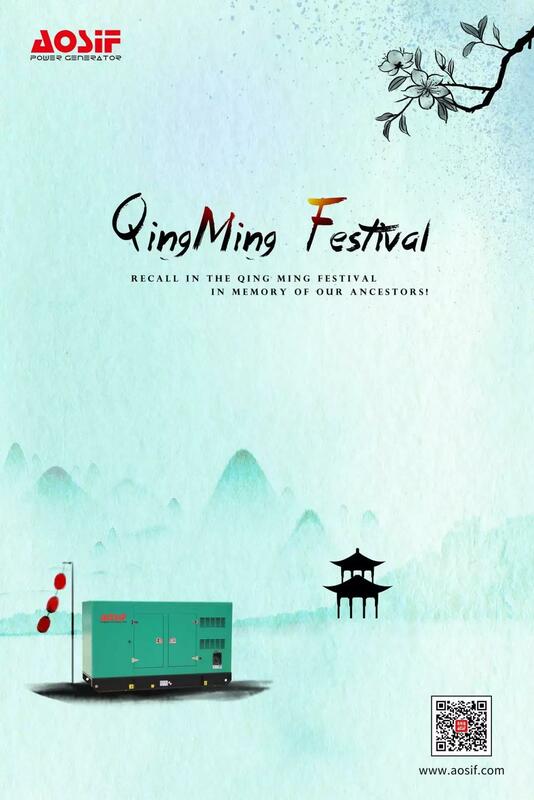 Since ancient times, the Chinese nation has had the custom of traveling in the Qingming Festival. In ancient times, traveling in spring was called exploring spring, seeking spring and so on. It was a spring outing, also known as "traveling in spring". This kind of festival folk custom activity has a long history in China and its source is the spring custom of ancient farming and sacrifice. 1.With the diet to clear away heat and nourishing the weaker force. Regular and quantitative, salt limitation, potassium supplement, eat more vegetables and fruits, in order to prevent heat. Eat more food with the function of soothe the liver and nourish the lung. Everything is up to you On 3.8, Goddess or Queens! 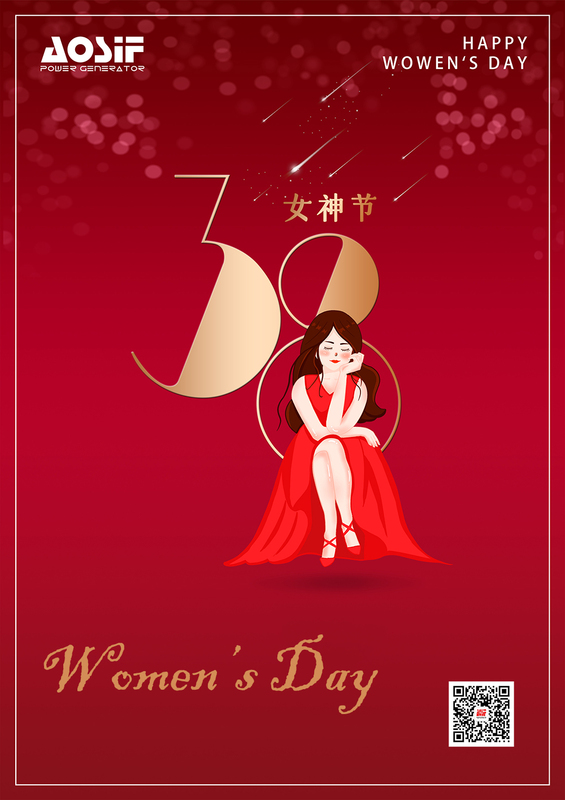 the holiday belongs to women all over the world is coming again. 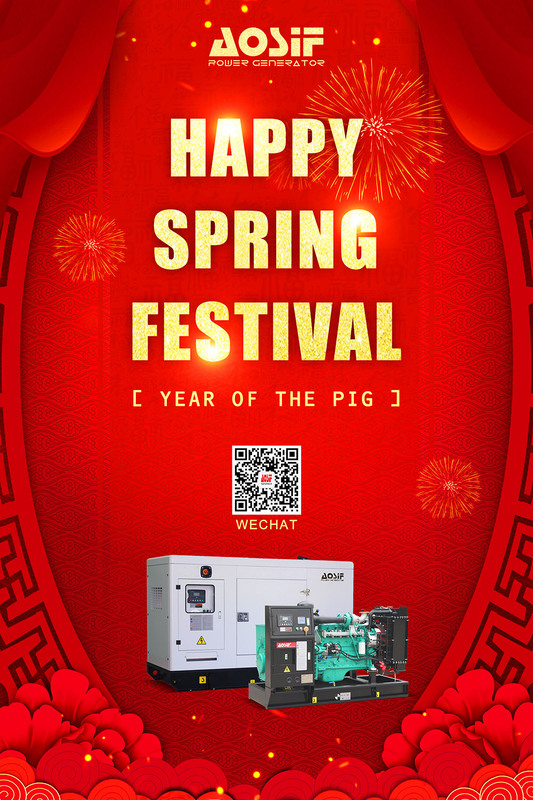 We happily celebrate the holiday, enjoy the good time and life. AOSIF present you, all the goddesses, a beautiful little gifts, as well as an amazing half-day leisure time. You are the most beautiful colors in the world. Take good care of your unique self! 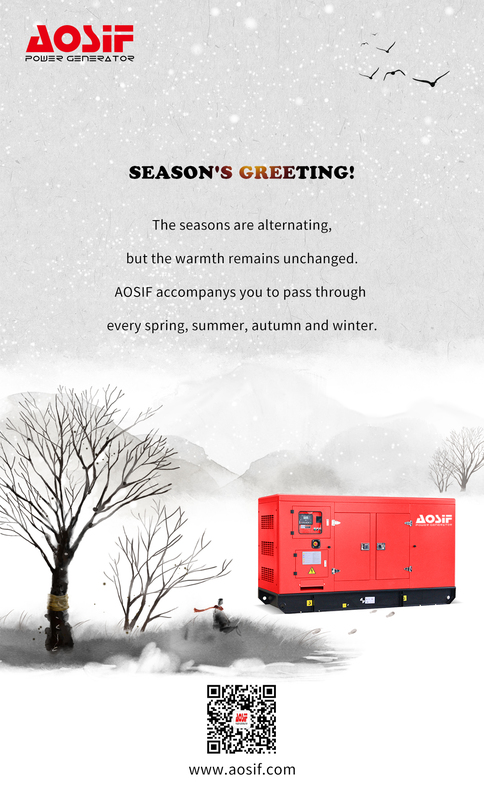 AOSIF wishes all female compatriots in the world: Forever young, peace & health, and happy holidays! 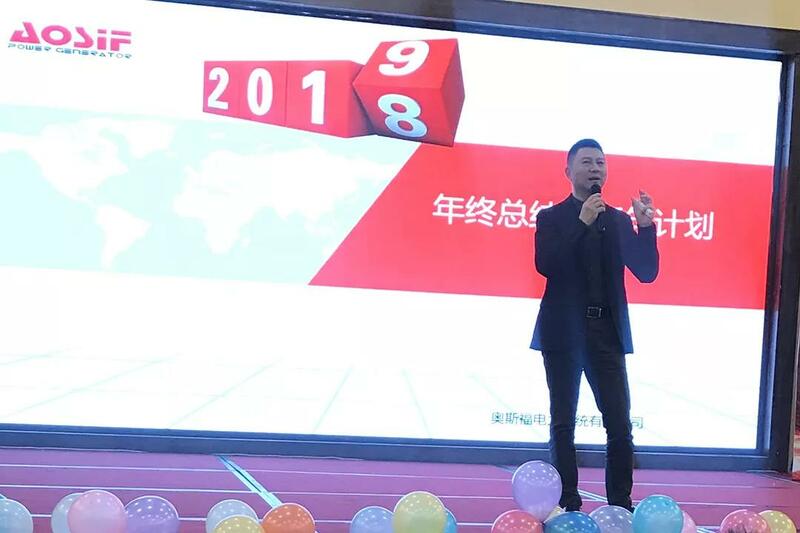 Mr. Wu Zhen, General Manager, summarized the problems and achievements in 2018 and gave clear instructions for the general plan of 2019. 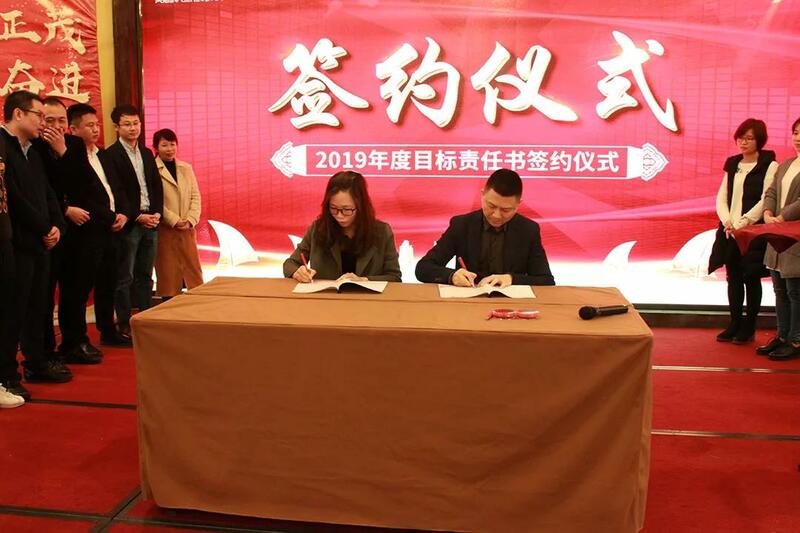 Among them, 131 performance doubled and 100day fighting activities were affirmed; According to the company's future planning in 2019, the focus of 2019 is to sort out the organizational structure, improve various training systems and salary system. The signing ceremony was completed by 14 managers, together with the general manager and the deputy general manager. Every manager's signature on the target responsibility plan for 2019 is a promise to himself for the whole year ahead. It is a responsibilities, it is a tasks. Everyone’s commitment is a spur to himself, and we are willing to shoulder this responsibility and go all the way with AOSIF. 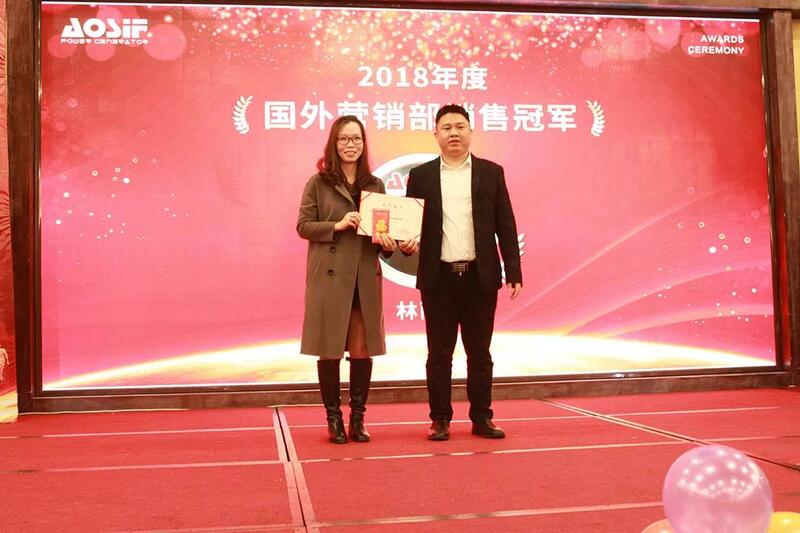 More than a dozen of awards are set, such as the sales champion, excellent employees, excellent teams, excellent managers and so on in 2018.One work, one harvest. Your efforts can be seen, and it is the time now to gain the harvest, the biggest affirmation on your work. Three, five, eight and ten years of loyal accompanionship have brought us closer together. In the future, we are bound to work harder and to create brilliance together! At 6pm, AOSIF ushered in an 18th birthday cake. 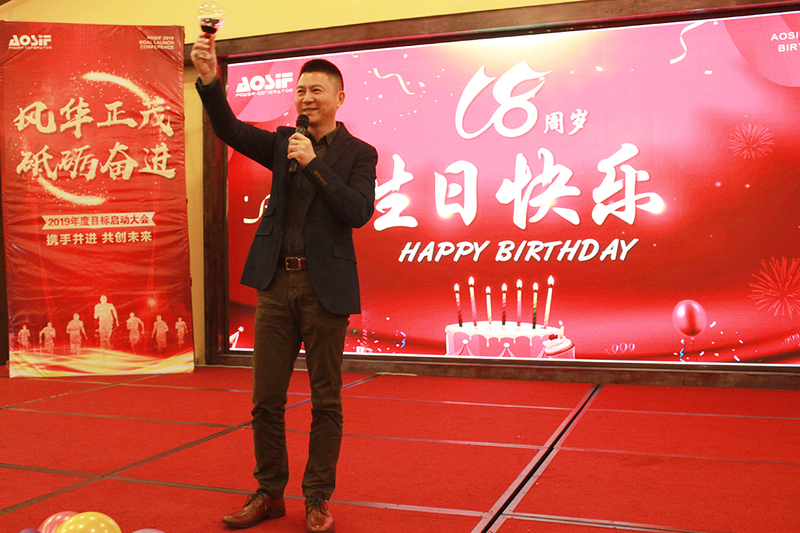 This time, special Guest, Sales Director Yu and sales manager Lai from CCEC were invited to celebrate the 18th birthday together with us. 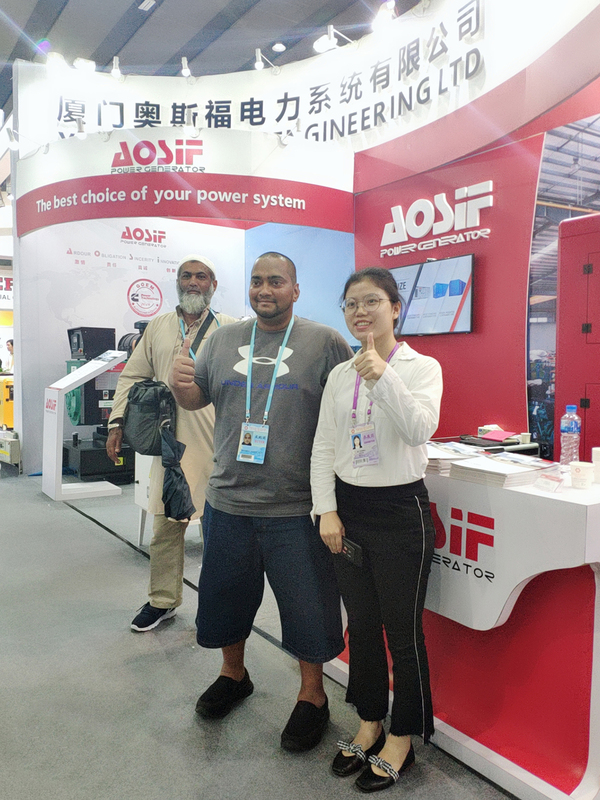 For more than a decade, Aosif has established a deep strategic partnership with Cummins, and in 2019 Aosif will work together to create new achievements with Cummins as well! Everyone is enjoying the feast after the dinner officially begins, and a wonderful singing from staffs starts. 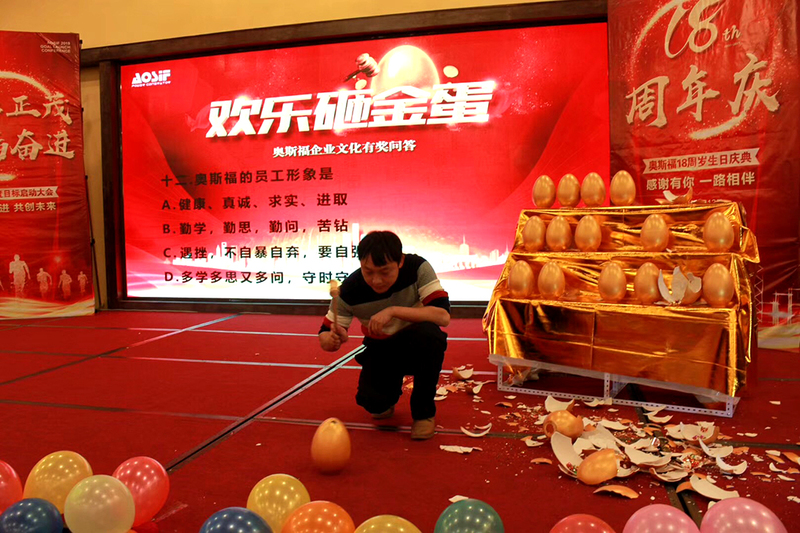 One of the links is the golden egg smashing activity. 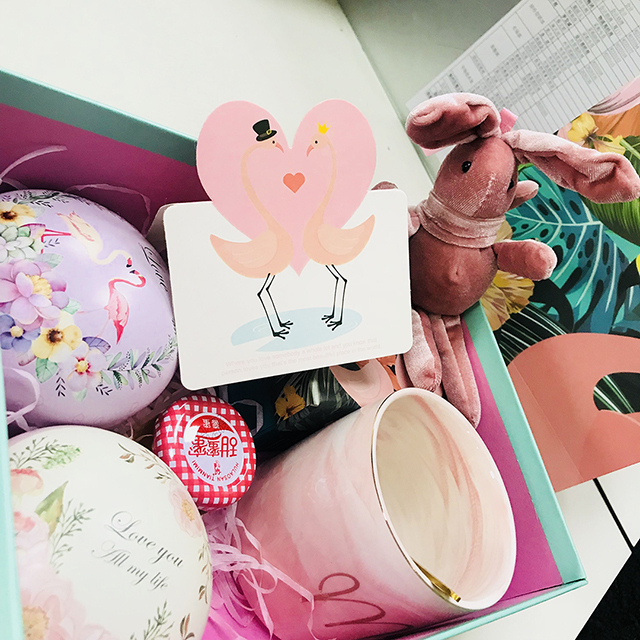 In this activity, the host prepared 30 questions about corporate culture, and the employees who race the chance to answer a question correctly, could get a chance to smash the golden eggs to win the award. Those who answer incorrectly are fined a glass of wine. On the spot, everyone is enthusiastic about signing up. 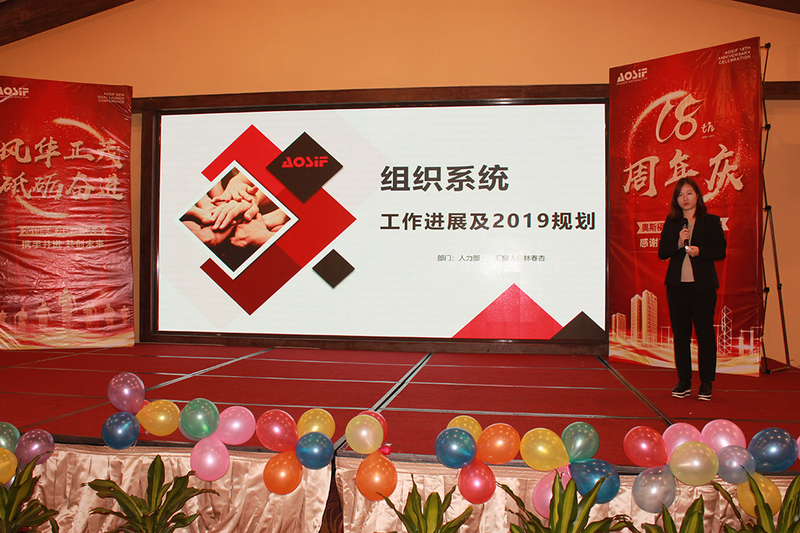 In the games, not only the attendants got gifts, but everyone deeply got to know and understand the corporate culture of AOSIF. Let's raise our glasses and toast together to a bright future! After 18 years of tempering, Aosif has already faded its delicate and Immature, and opened a new round of baptism. 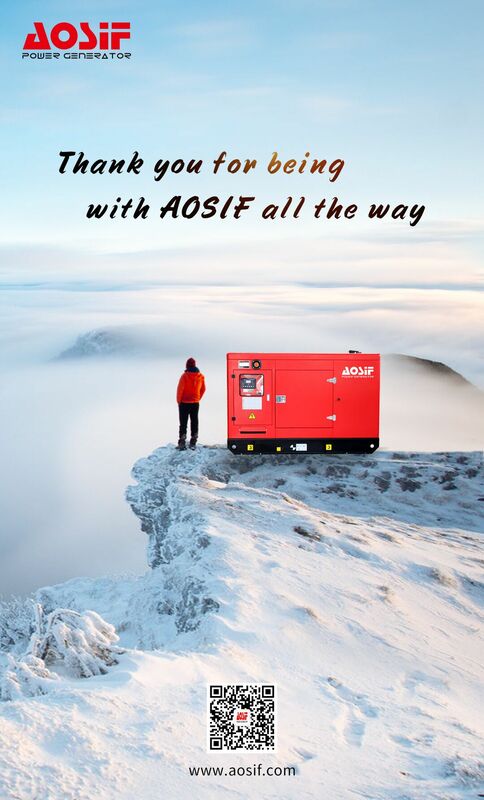 Thanks to the efforts made by all the staff in the past 18 years, which has brought about Aosif's present. 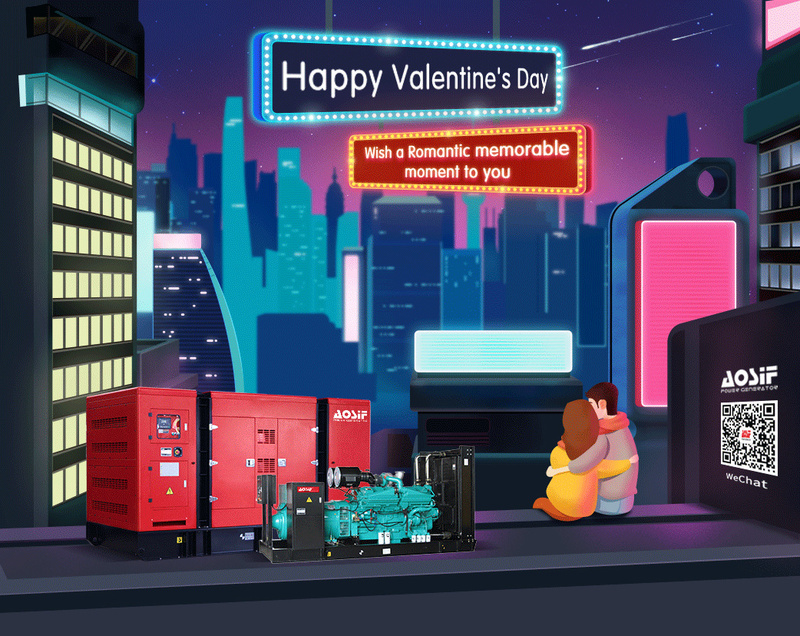 Tomorrow you will be proud of joining Aosif today, because Aosif has been providing the most high quality emergency power to all places where it is needed with most complete service and low price. Place: Cairo International Exhibition Center, Egypt. 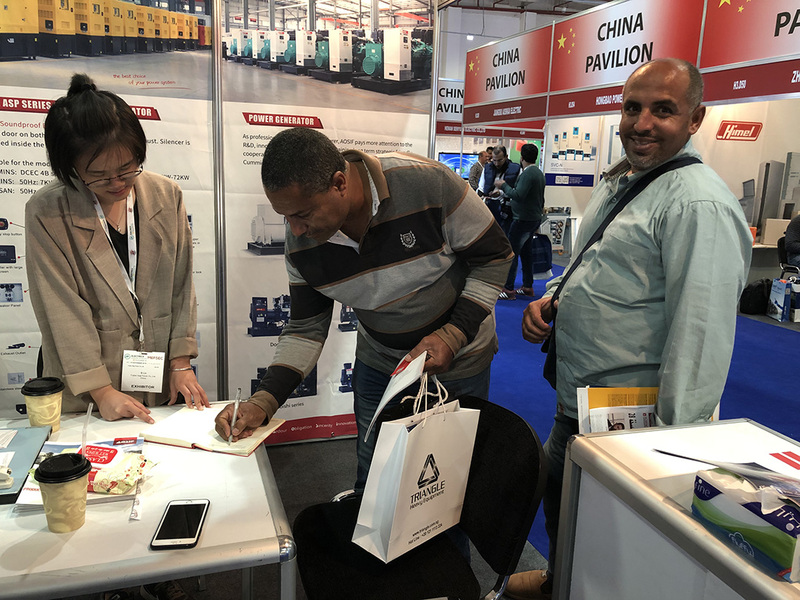 The Egypt International Electricity, Lighting and New Energy Exhibition (ELECTRICX & Solar-TEC), which was first held in 1990, once a year, so far has successfully held 26 sessions. 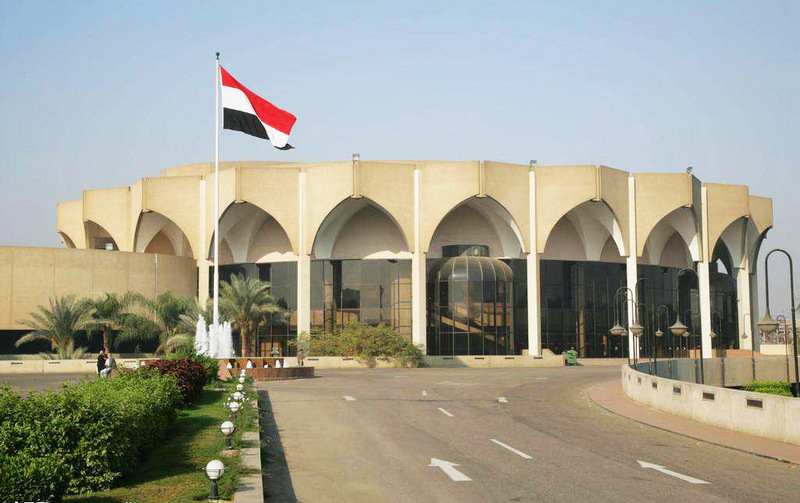 This year it will be held on 17-19 November at the Cairo International Exhibition Centre, Egypt. 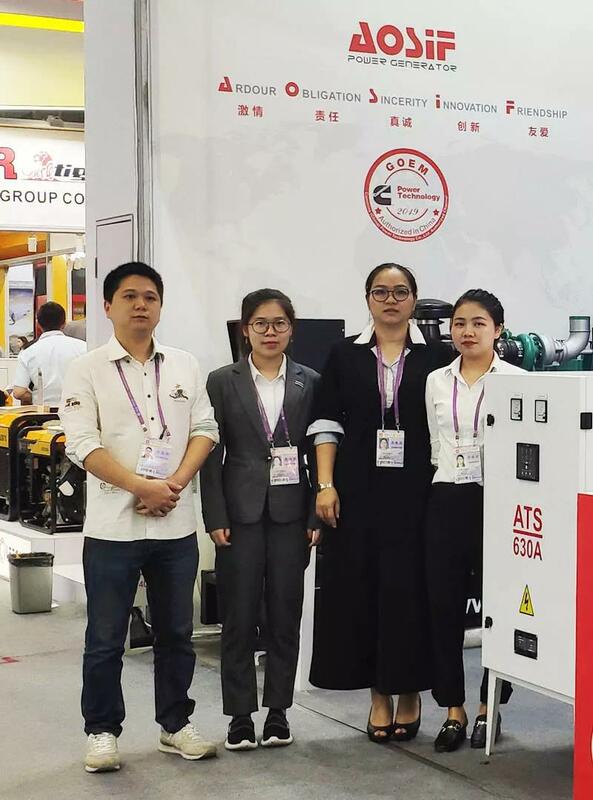 The exhibition, covering an area of about 20,000 square meters this year, brought together 100 enterprises and 14,000 participants from more than 20 countries and regions, among them there are the world's major power companies, electricity and electrical equipment suppliers. 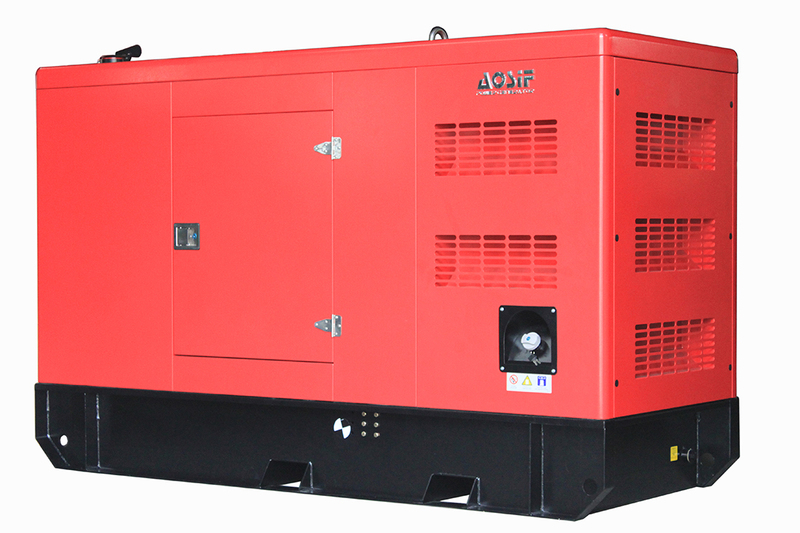 AOSIF is a manufacturer dedicated to the production and R&D of diesel generating sets. 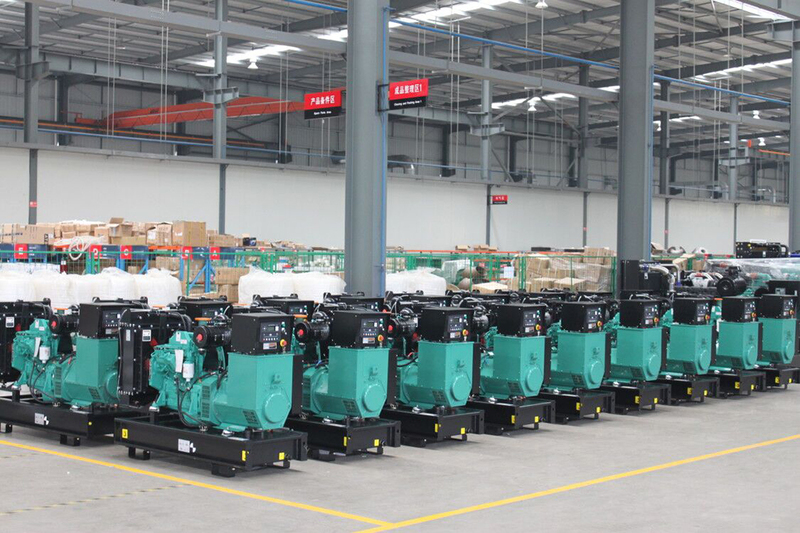 It has delivered 30,000 generating sets to hundreds of countries around the world. 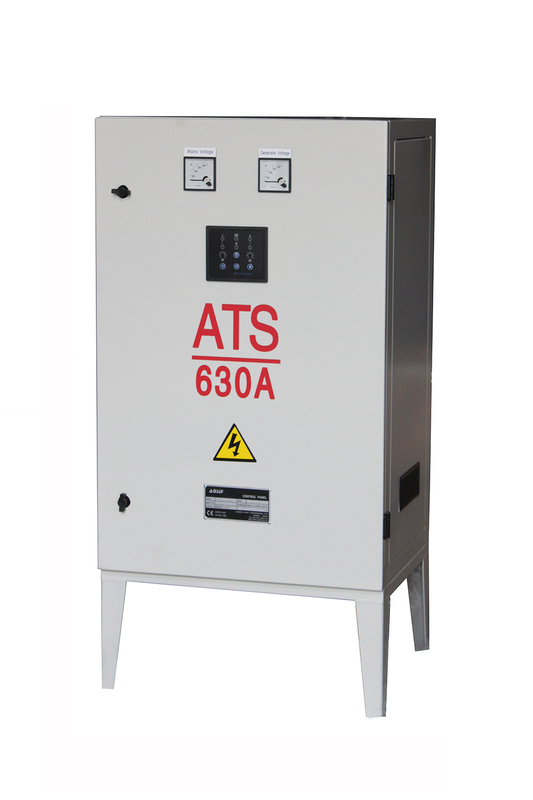 Its perfect service system and production guarantee system brings the qualified products to meet the power requirement to customers. 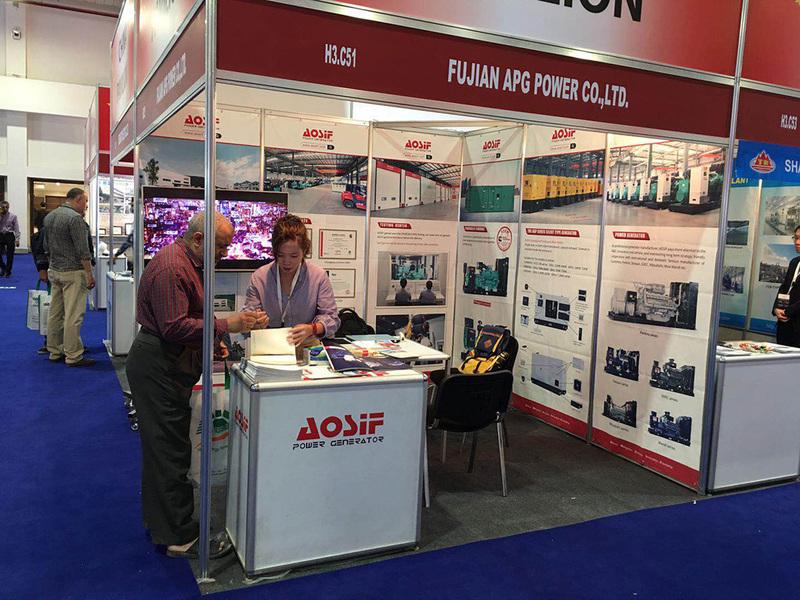 AOSIF adheres always to the production concept of "To be global famous brand & to create industry benchmarks", to the quality concept of "Striving for excellence by constant improvement to achieve maximum customers’ satisfaction", and therefore provides a continuous source of electricity for global construction with its sustained development and innovation. 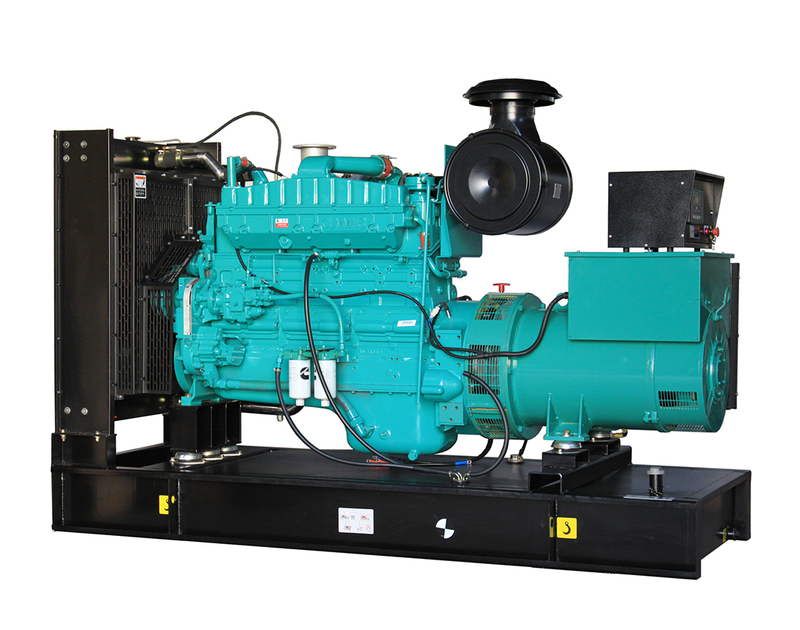 Help customers to finalize the solution of water, electricity, gas, oil and others etc. 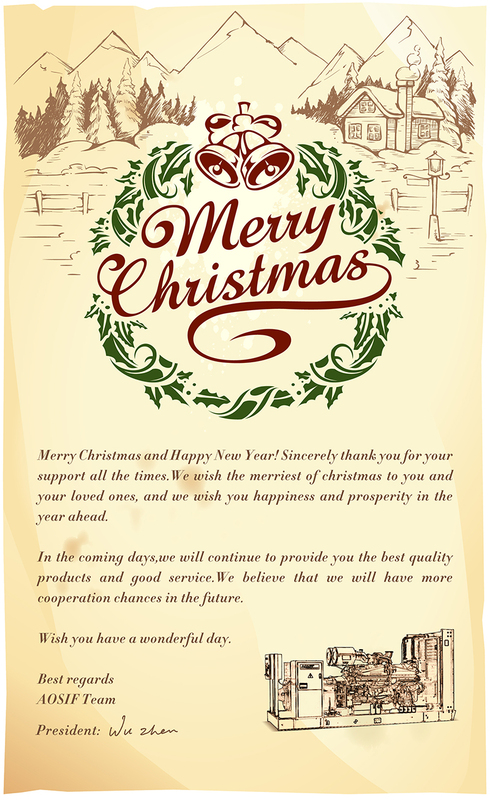 To provide thoughtful and timely after-sales support and services to our customers for the correct use of our products. Egypt, a country full of possibilities. 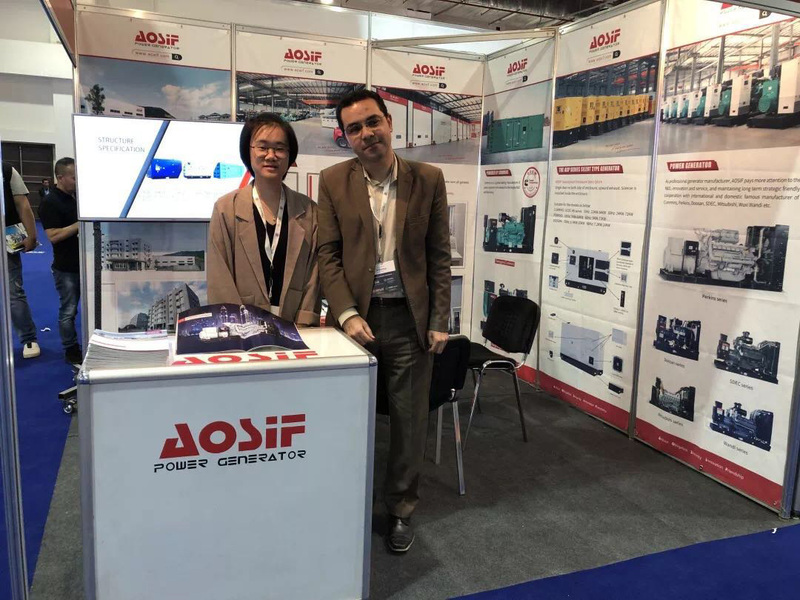 AOSIF will surely provide Egypt and its surrounding areas with an additional share of security in electricity supply and professional demand for power solution services, provide the due market with the minimum budget to achieve maximum power equipment support/service. We have never ceased to improve ourselves and help others’ grow. 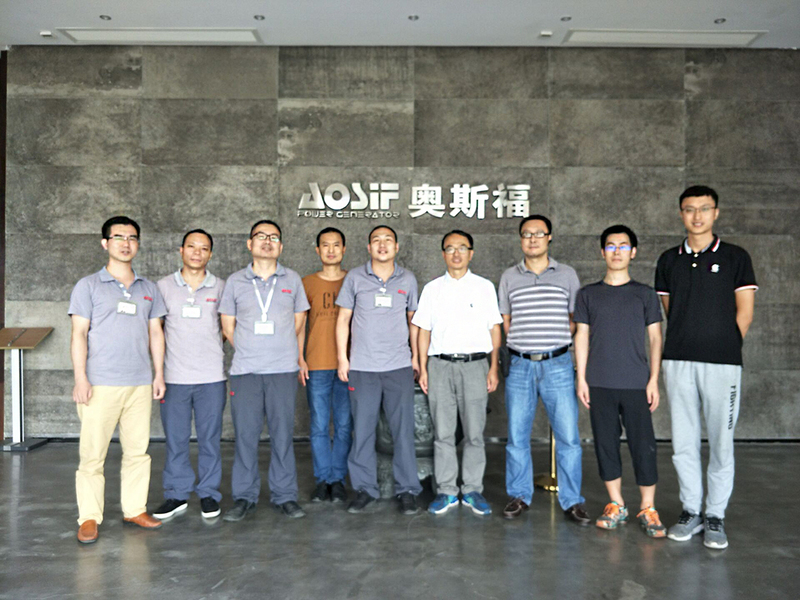 The tech team from CCEC visited AOSIF - Holding a product exchange meeting. 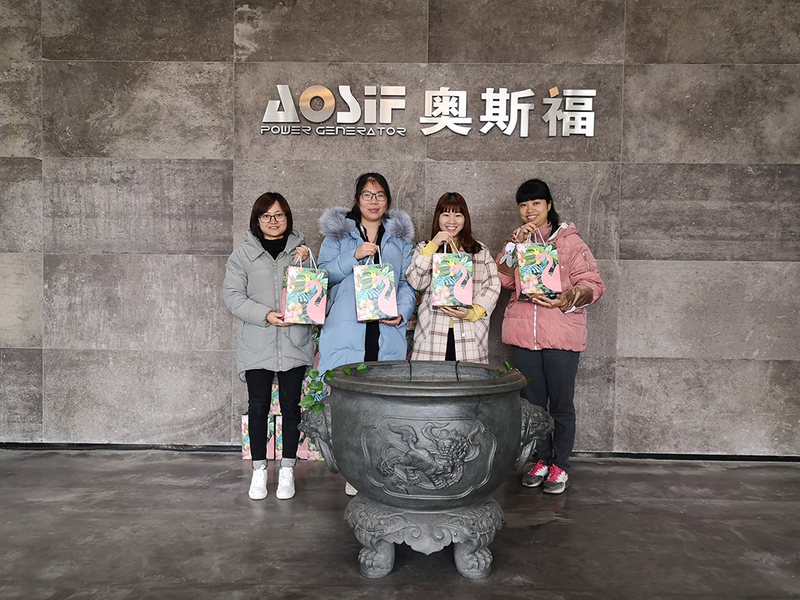 In this trip, the technical team from CCEC visited the AOSIF at the production base mainly to discuss and exchange views on the problems of Cummins products that really appear in the process of production. The MEETING was held in the conference room. First of all, a warm welcome was given to the technical team from CCEC. 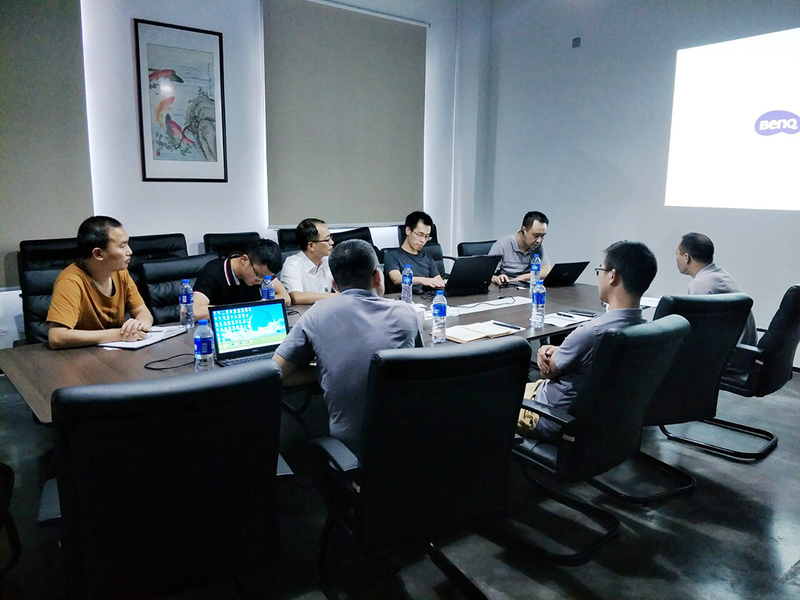 During the meeting, Xie Shuilin, our production manager, put forward some problems that really appear in the process of production, and technicians from both sides conducted in-depth discussions and exchanges on these issues. The live discussion was overwhelming and all questions raised by our technicians were answered one by one. The perfect products can only be created subject to the sincere cooperation with each other. 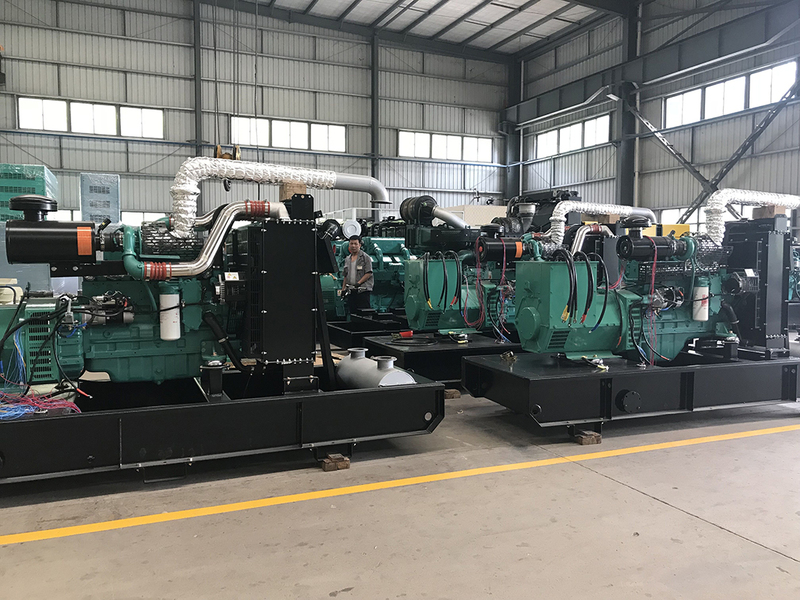 Except exchanging views of problems that may arise in the production process, Engineers from CCEC also give detailed instructions of engines on N series, K19 series, K38 series and K50 series, as well as maintenance considerations. 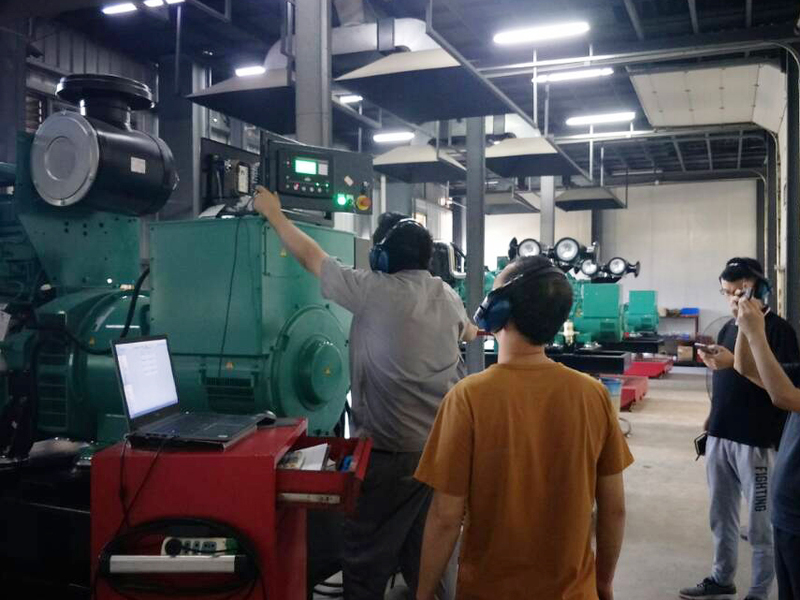 In the workshop site, the technical engineers from CCEC also patiently answered all the questions relating to the problems that encountered or may arise during the operation of the engine. 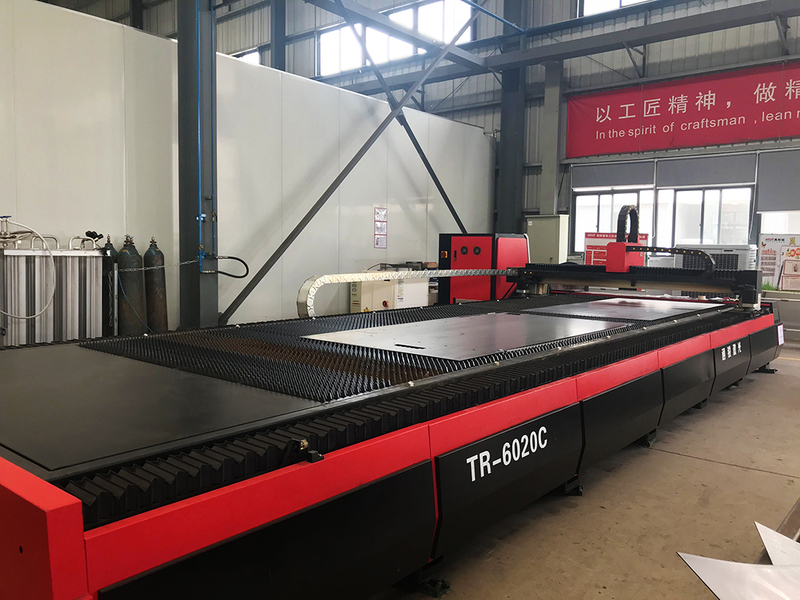 They pointed out, “besides the reasonable design of the product itself, the professionalism of the users also determines the stability, durability and safety of the product; Only when the two combining together, then the equipment can be fully, safely and effectively operated. This is something that everyone needs to pay attention to”. All on-site technicians agree! Finally, thanks to the Technical Team from CCEC for the support to AOSIF. 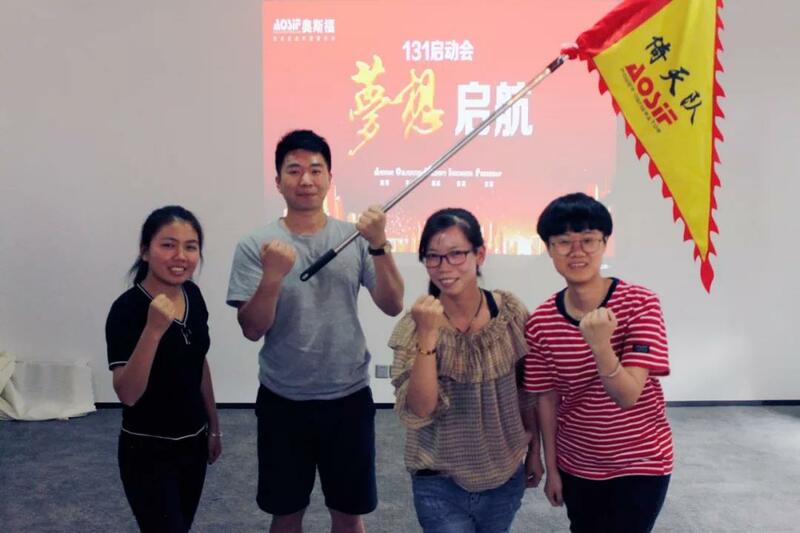 The growth of AOSIF is inseparable from the joint efforts of both sides. 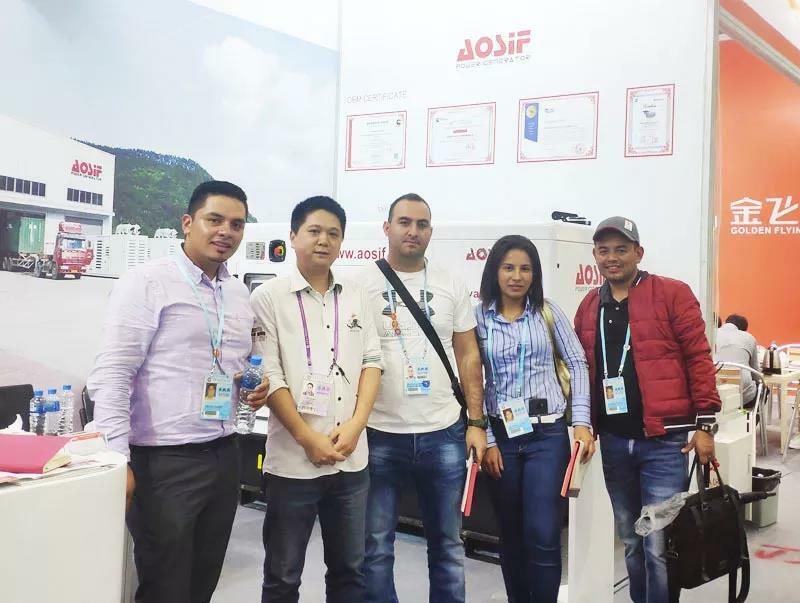 Quality is the life of every enterprise, AOSIF adheres to his mission, behind each product represents the best pursuit of AOSIF people. 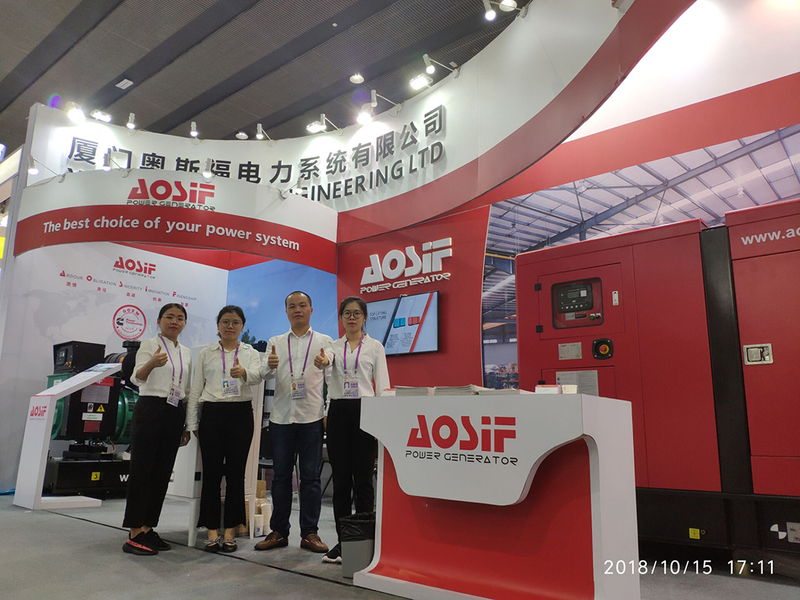 AOSIF is here @ the 124 session of Canton Fair! 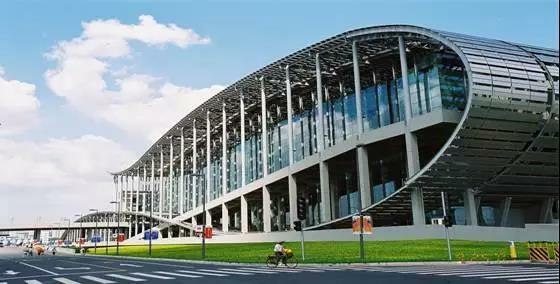 Add：Pazhou International Convention and Exhibition Center in Guangzhou. 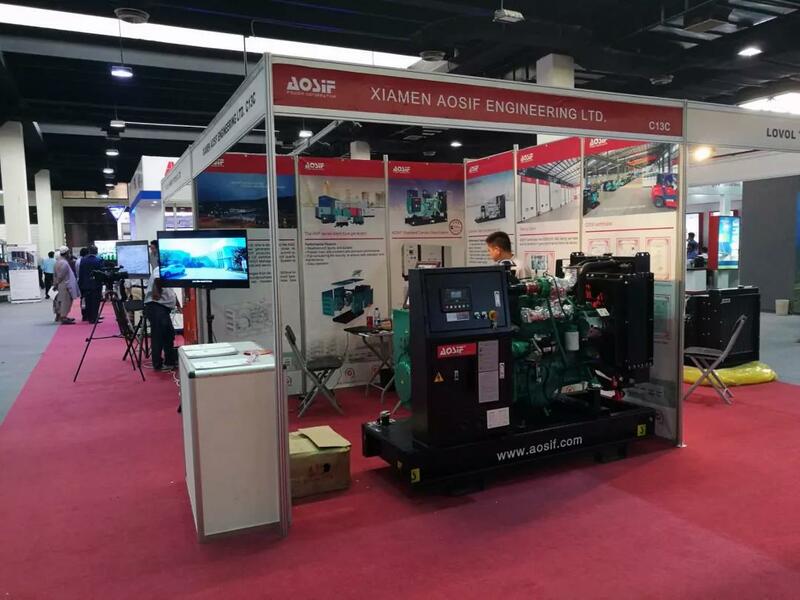 From October 15th to 19th, the PhaseOne of the 124th Canton Fair is being held at the Pazhou InternationalConvention and Exhibition Center in Guangzhou. 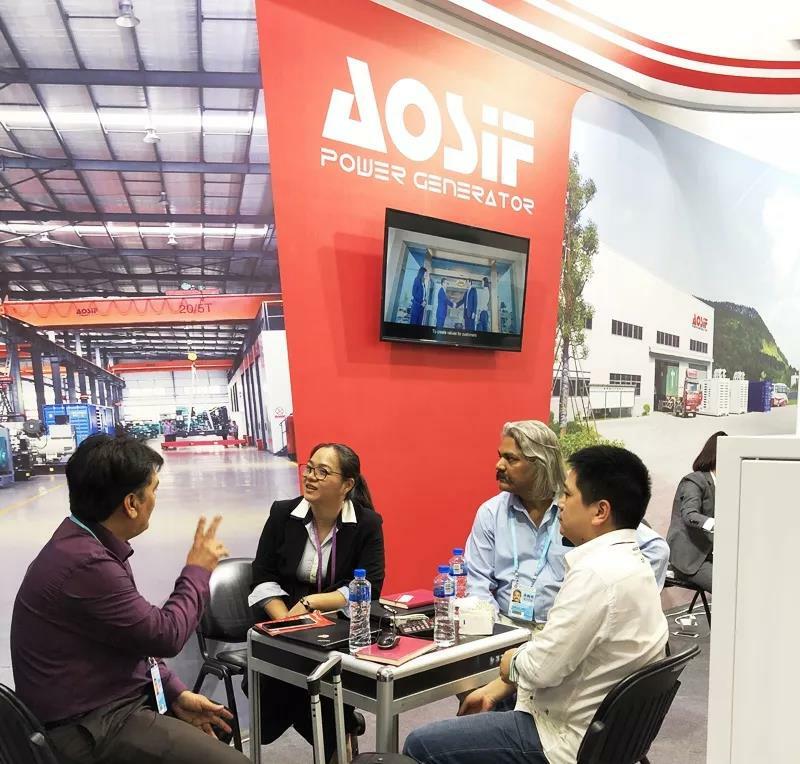 The total exhibition area of this session is 1185,000 square meters, with a total of 60,645 booths and 25,583 enterprises both at home and abroad. 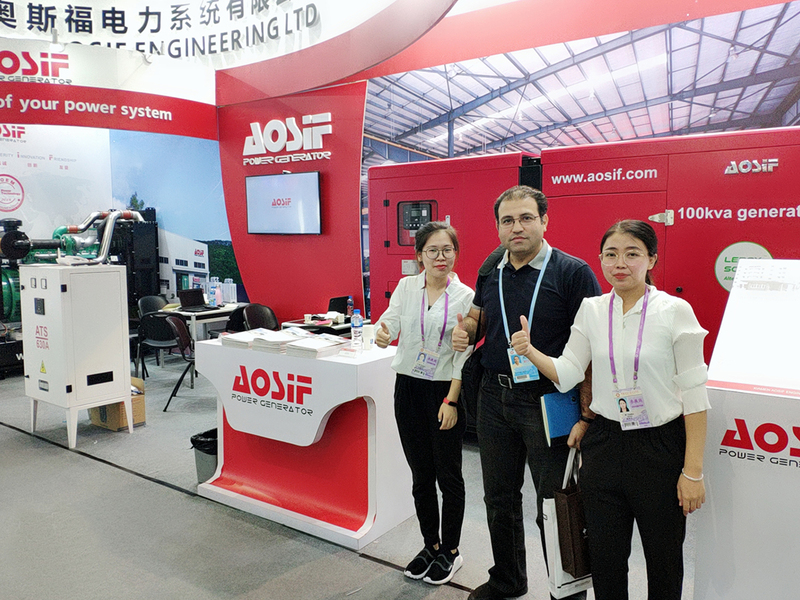 AOSIF starts to participate in the Canton Fair from the 111st session in 2012, and has successfully taken part in 13 sessions since. 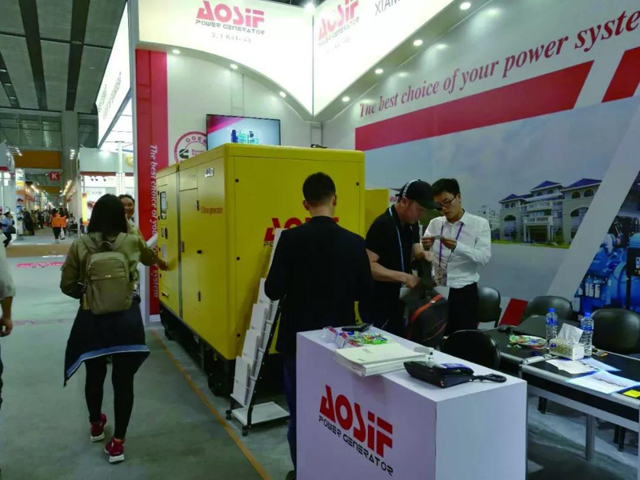 As an old friend of the Canton Fair, AOSIF, this time as scheduled, presents to you at the booth No. 3.1G40, 3.1G41 and 3.1G42 located in A District. 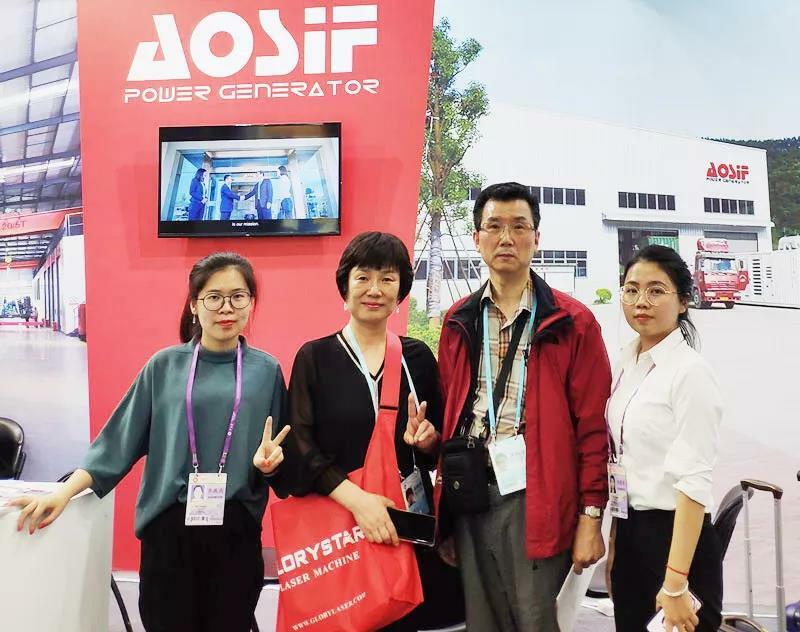 AOSIF, pursuing constant quality, having professional staffs, and offering thoughtful service, has stood out among the exhibitors and are highly praised by the customers in this exhibition. 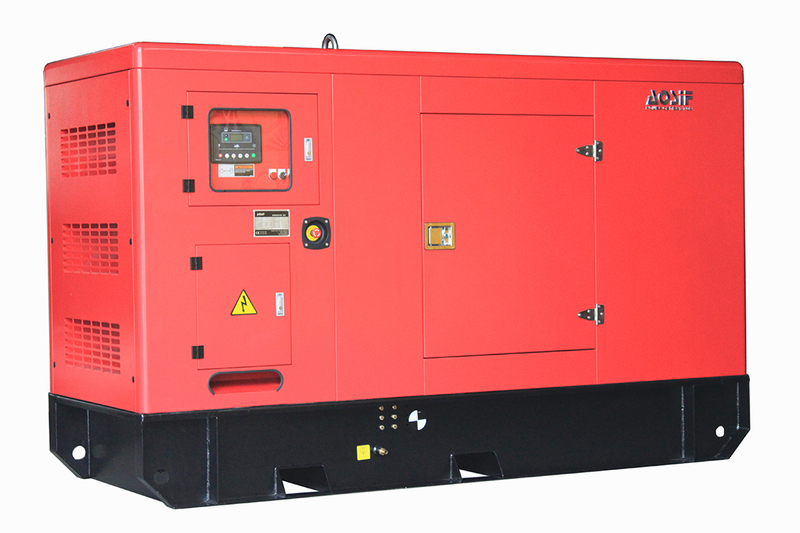 In addition to providing corporate video and related information to visitors, AOSIF also presents a prototype of 100 KVA sound proof type generator set, which is the perfect matching of Cummins engine and Leroy-somer alternator. The Chinese red canopy is not only representing the enterprise color of AOSIF, but meaning the booming life as well. 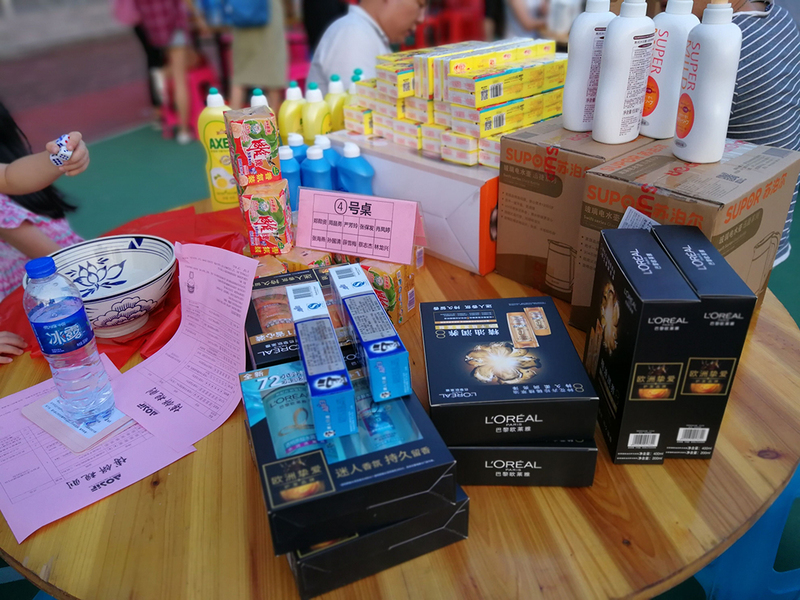 “The Canton Fair”, as the longest, largest, best reputated and comprehensive international trade fair in China, provides a ideal communication and trading platform for sellers and buyers both at home and abroad. 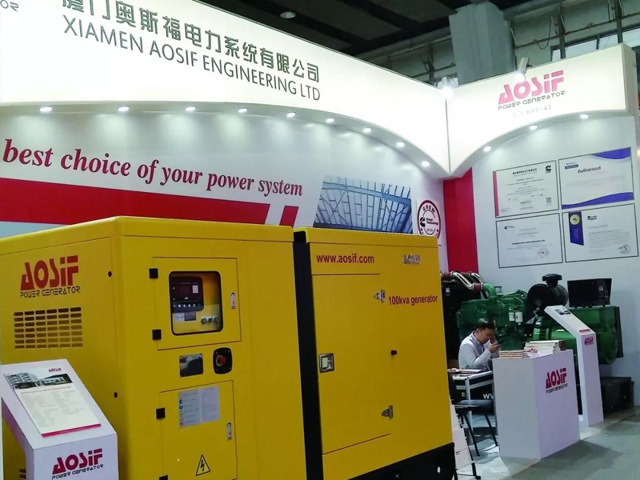 As a professional generator set manufacturer, AOSIF has been committed itself to the product development & innovation, and service improvement. 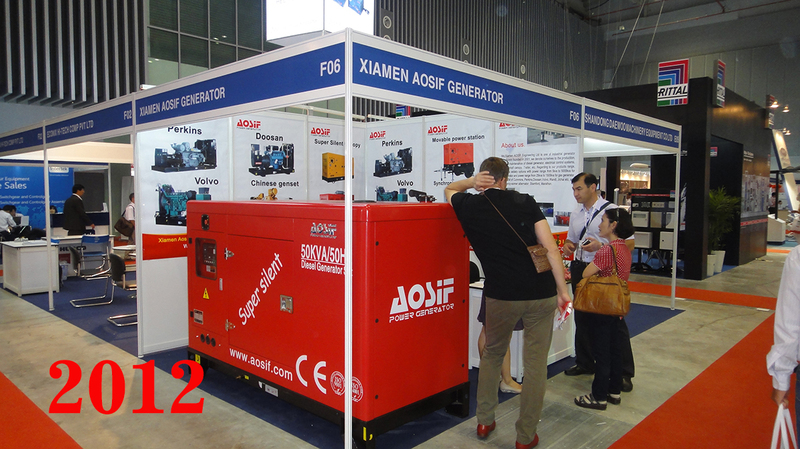 From the 111th session till today, the Canton Fair has witnessed every step of AOSIF's growth. 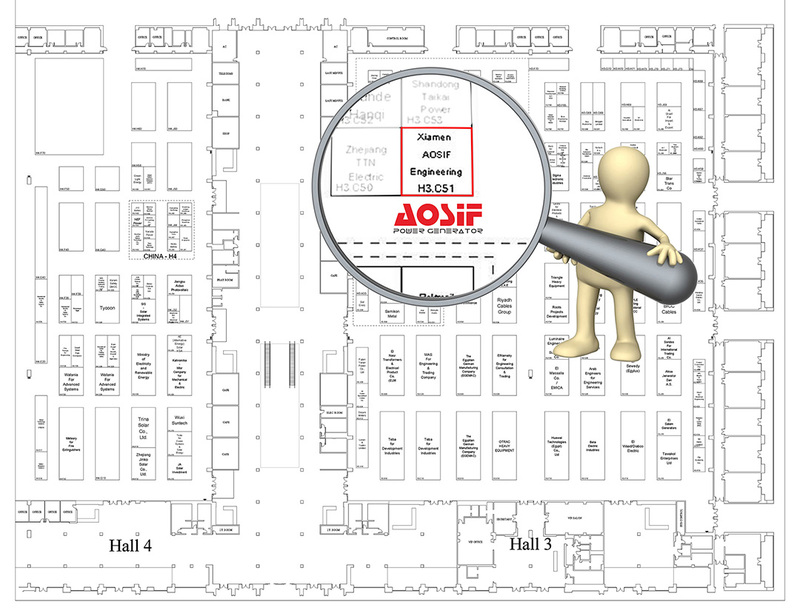 AOSIF here makes an appointment with you, we will meet you there at the 125th session of “Canton Fair”! 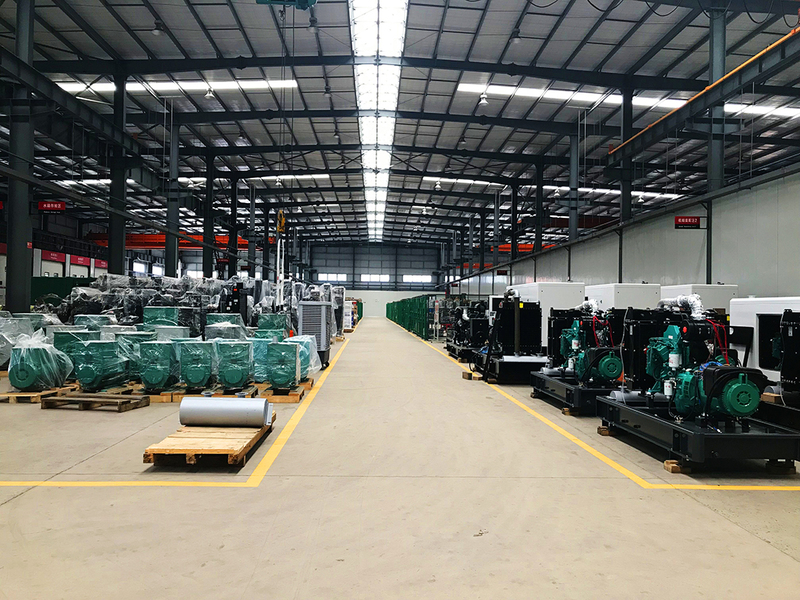 In Oct.2018, BV group came to AOSIF again for field inspection and certification.The schedule was divided into two days, first day was for the Video Shooting, and the second day was for the on-site report certification. 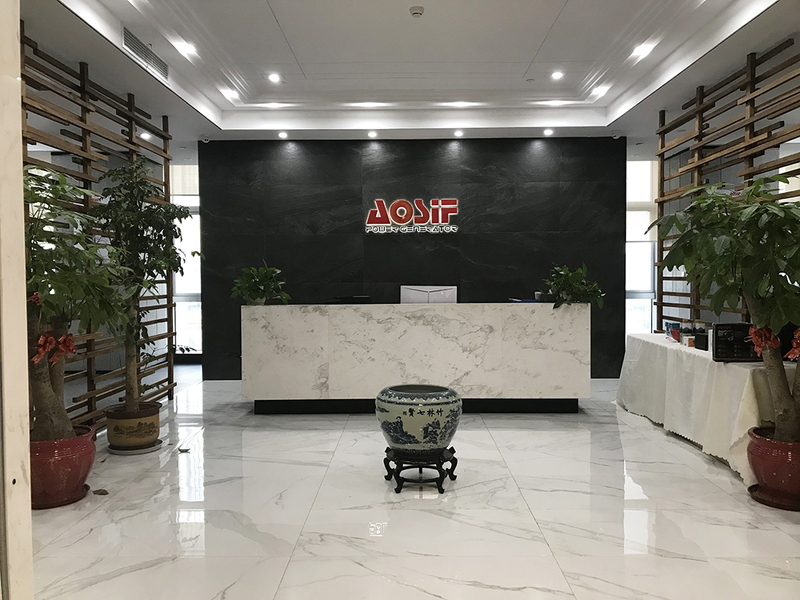 AOSIF International Marketing Center is located in Software Park Phase 3, Jimei, Xiamen City, Fujian Province. The marketing center moved here in 2017. The first stop Video Shooting was for the whole view of the International Marketing Center. 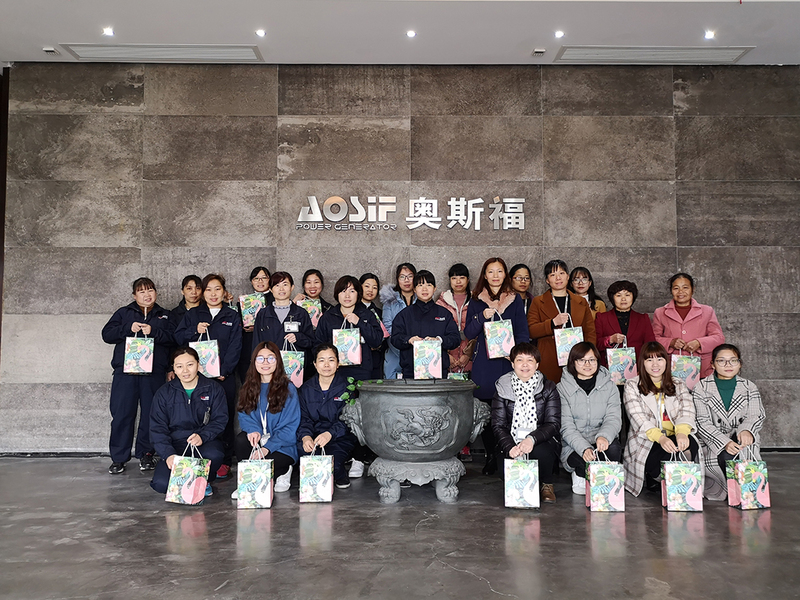 At present there are 50 staffs working here, including the strong Sales Team and Technical Service & Support Team, who play an important role in AOSIF’s continuous development and improvement. 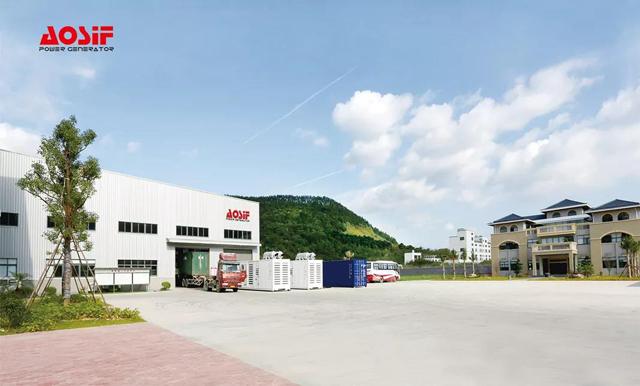 AOSIF manufacturing base covers an area of 50 acres, located in Changtai economic and development zone. The second stop Video Shooting was mainly about the plant environment and manufacturing facilities. 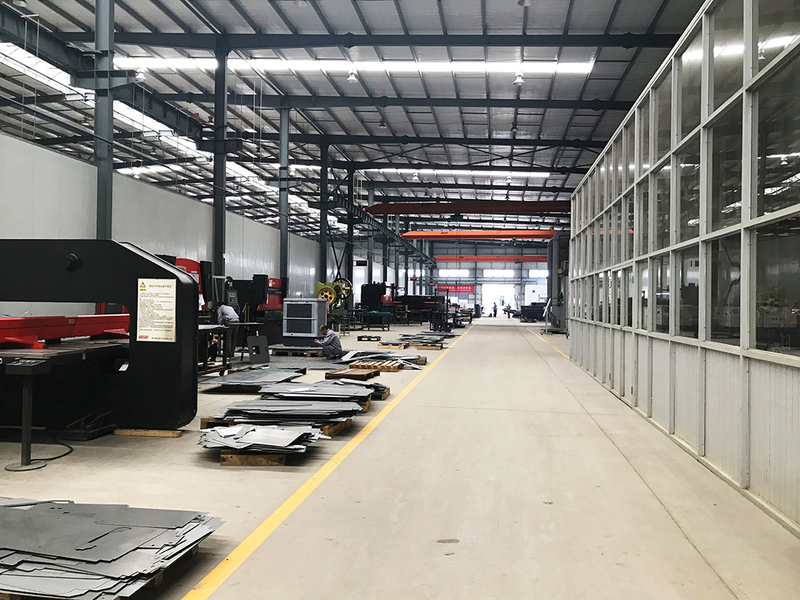 The clean & tidy workshop, strict production procedure, standardized and professional workers, all of which are not afraid of 360 degree full-angle certification shooting. 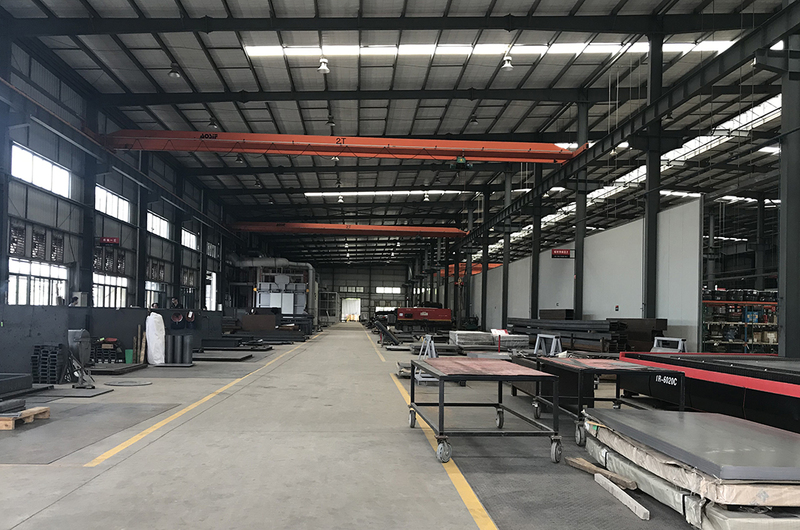 Besides the enterprise basic information audit, BV also strictly inspect the production procedure, and forcus on assessment of the whole process of the Incoming materials, metal plate processing, genset assembling and testing etc. 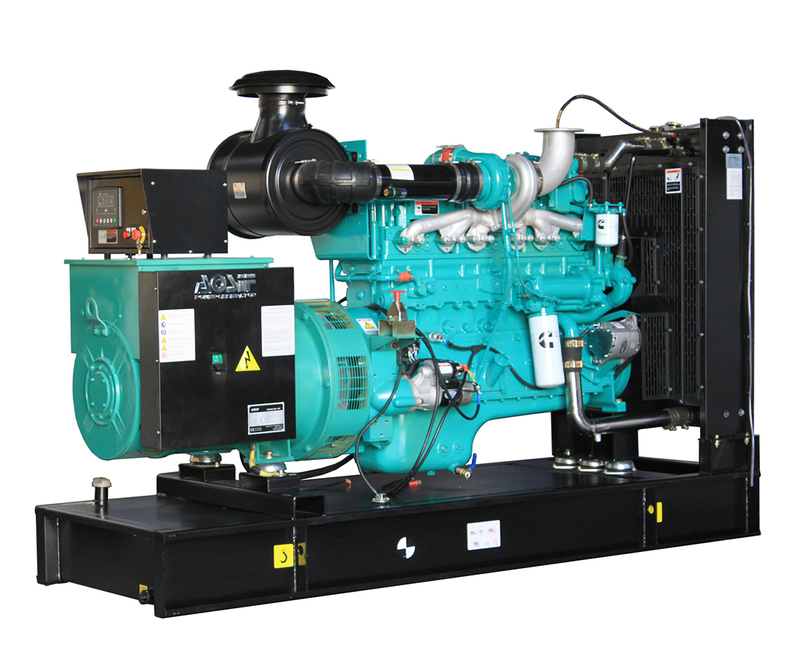 We never stop development during the years we invited BV for certification. 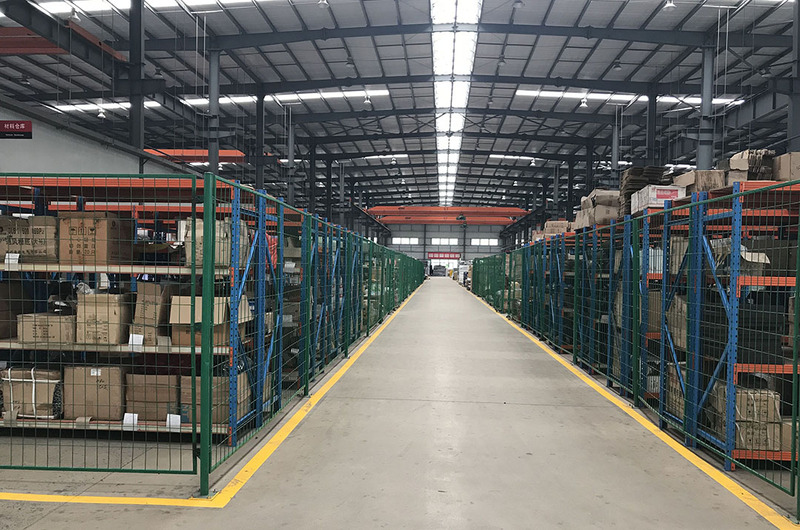 Factory inspection and evaluation is not only to assess the overall strength of suppliers and then to provide credibility for overseas buyers, but also a spur to us. 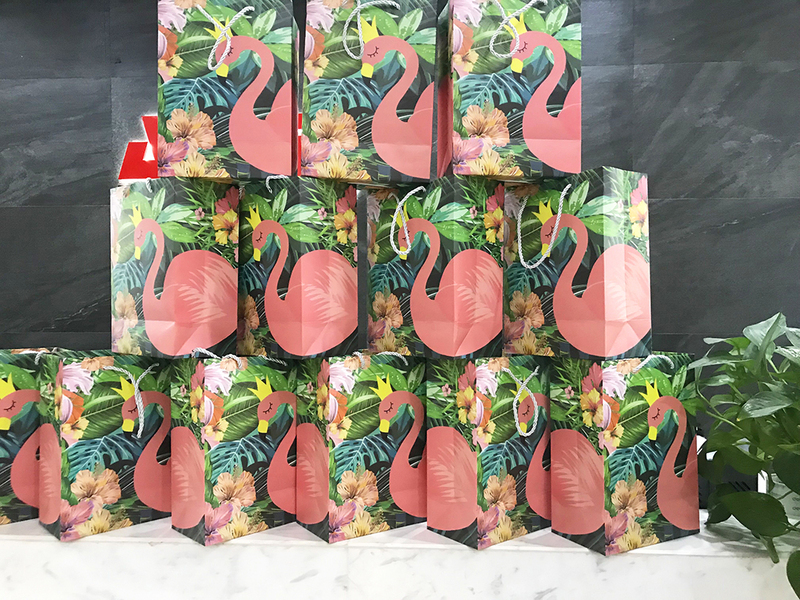 Only the company with excellent sales team, professional technical support, strong production capacity, complete supply chain can not be eliminated by the times. To complete our mission. We have been working hard all the time! Mid-Autumn Festival is a traditional festival in China. 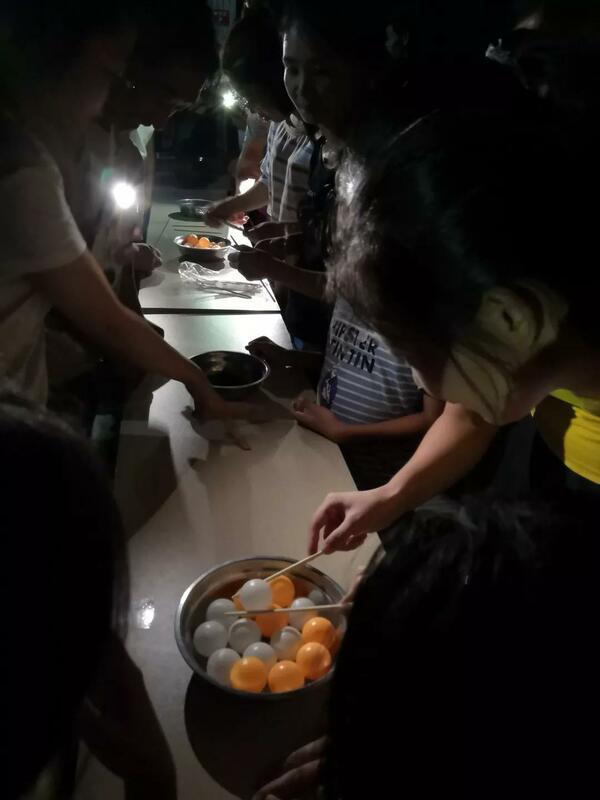 Every year of this time, AOSIF will host a special mooncake gambling dinner for staff. Mooncake gambling is a unique Mid-Autumn Festival traditional activity in southern Fujian, which originated in the early Qing Dynasty. It is a unique moon cake culture and a heritage of history. 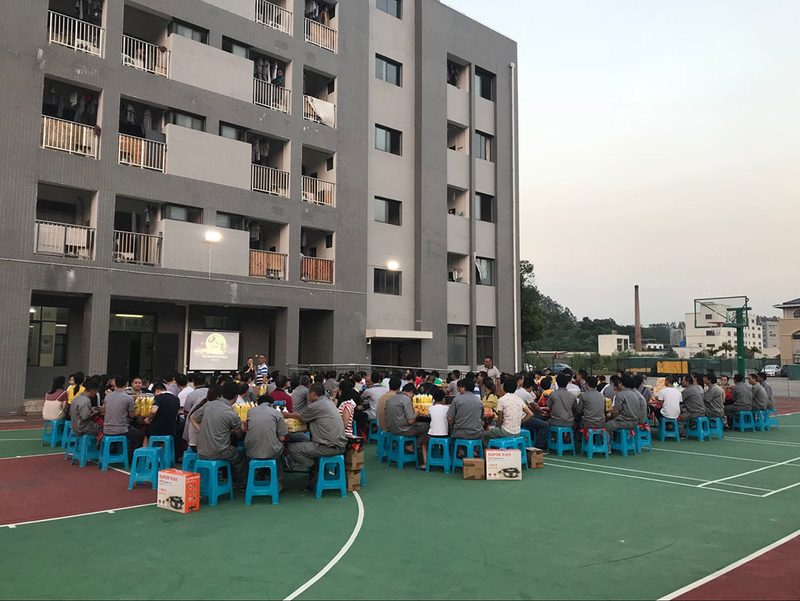 The dinner was took place at the AOSIF basketball court. The exceptionally good cooks were invited to cook the dinner in our canteen. 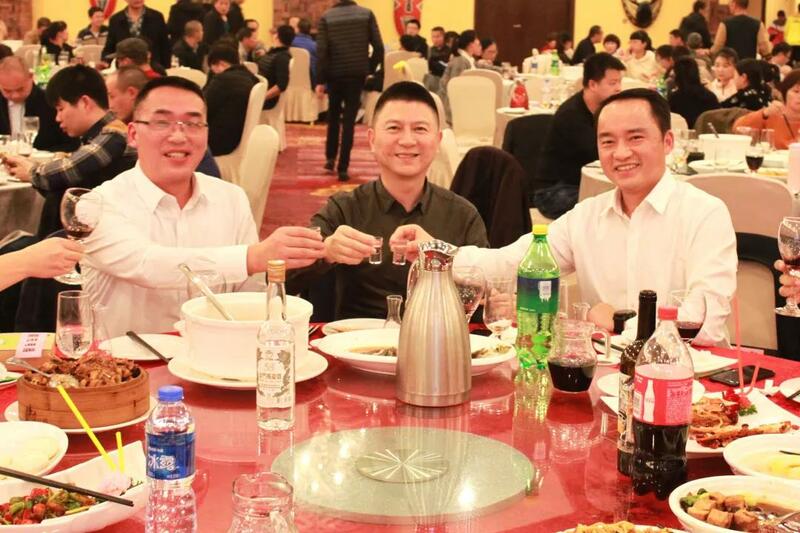 We shared the dinner with our colleagues like a big family. When mooncake gambling started, everyone has been unable to restrain excitement and wish to win the good luck. 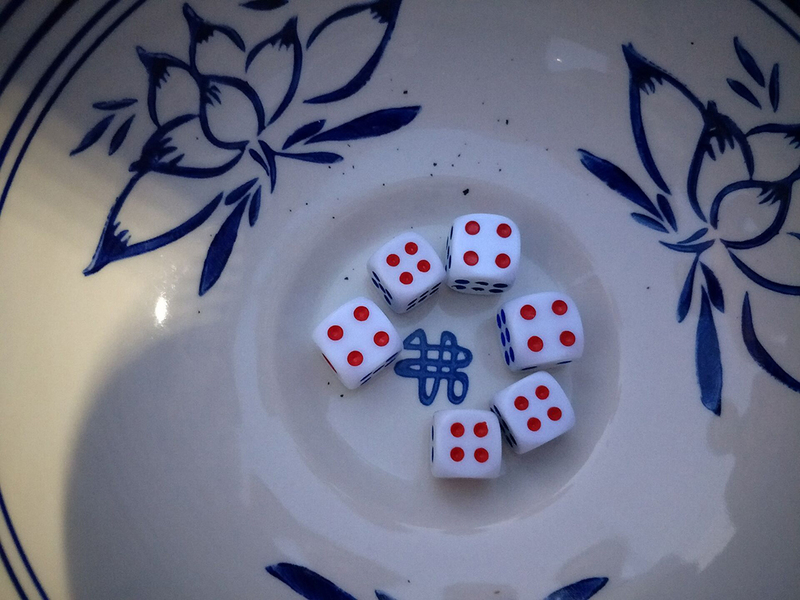 The basketball court was full of the pleasant silvery sound of the dice rolling and cheers of winning. 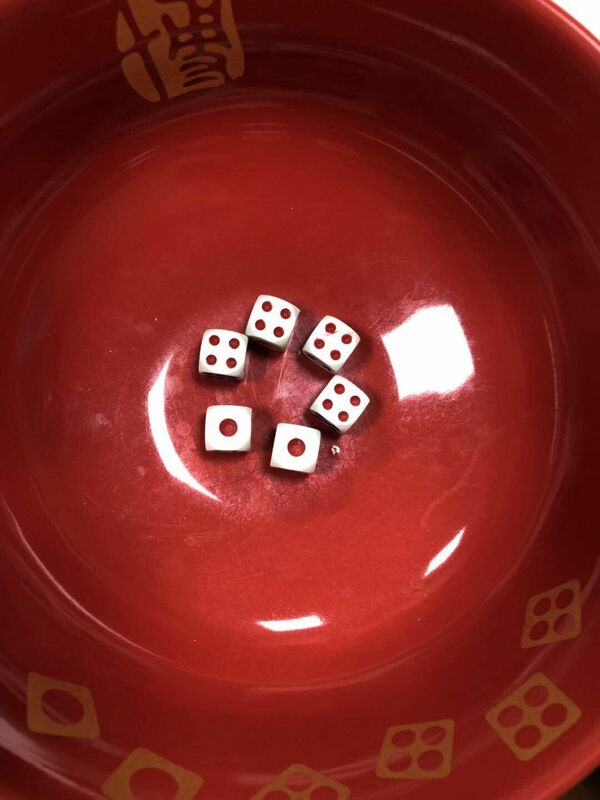 The lucky player who gets the pips to make it the title of "Zhuangyuan", will be the biggest winner in the game. 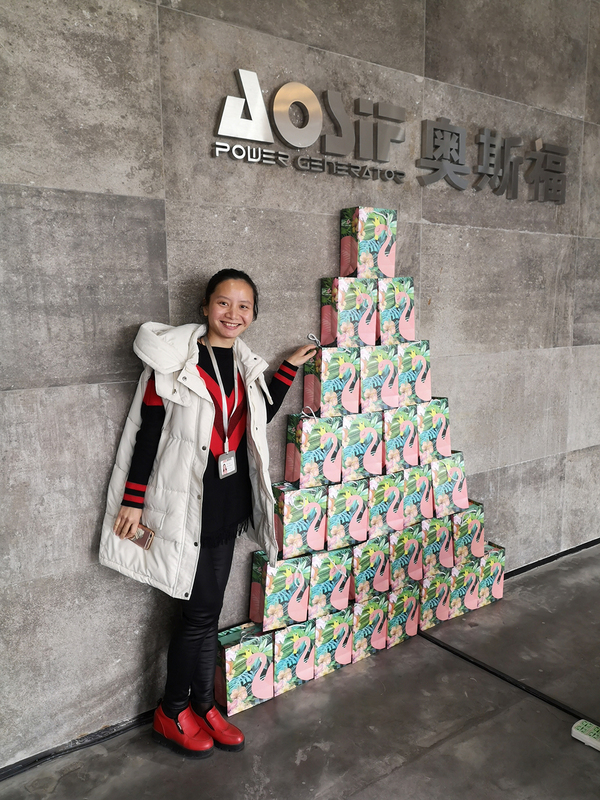 The 18 "Zhuangyuan" not only had the luck to win the generous gifts, but also it represents a year of good luck. The have to drink a full bottle of beer to get the bonus, which is the tradition of AOSIF. The one who finishes the beer firstly will get an extra red packet. The prize is so generous that no one will give in. It was a lively affair. After the mooncake gambling finished, we started to share the delicious food in the dinner like a family. After the dinner, every one left with the presents and satisfactions. It was a good way to thanks for the staff by the mooncake gambling dinner. 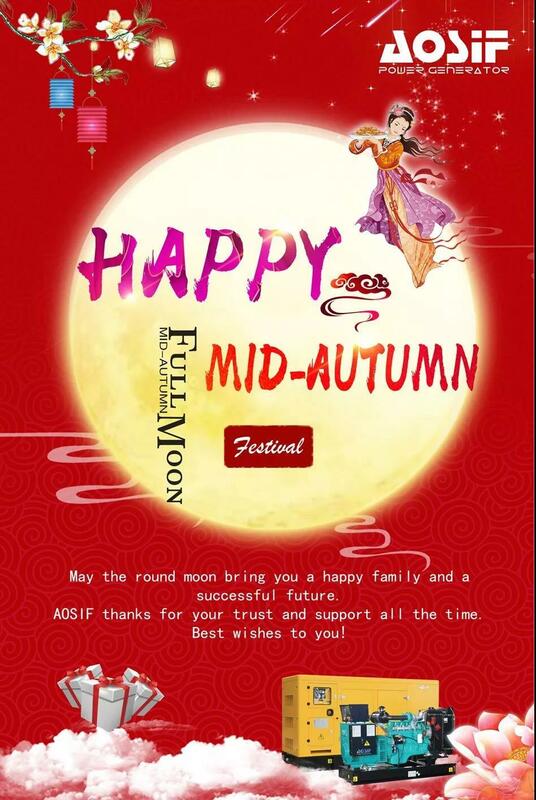 AOSIF may you have a happy Mid-Autumn Festival. 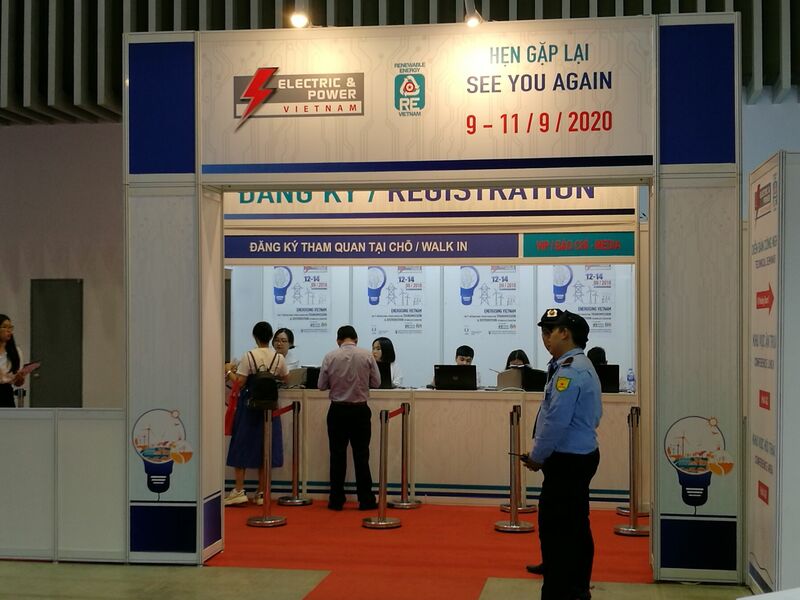 Started from 2006, Electric & Power Vietnam 2018 returns for its 7th edition as the leading power generation, transmission, distribution and renewable energy exhibition in Vietnam. 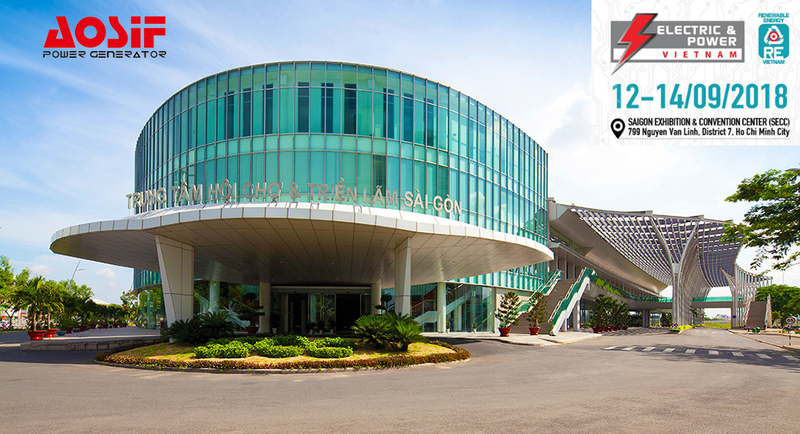 The exhibition happens at the Saigon Exhibition & Convention Center (SECC) from 12 – 14 September 2018. 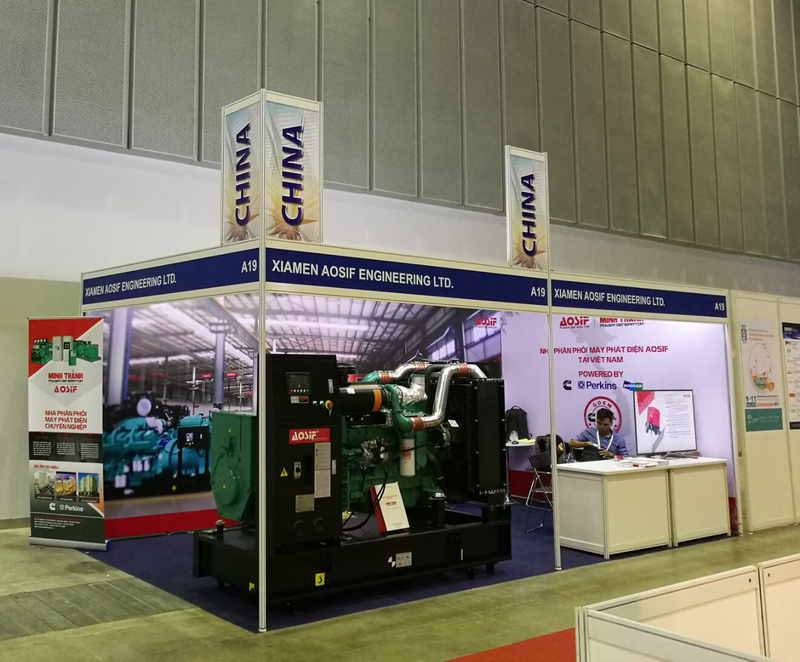 This year’s event attracts more than 300 exhibitors from 28 countries and regions, together with the strong presence of 7 international country and region groups from China, Germany, Korea, India, Singapore, Taiwan and Turkey. Compared with 151 exhibitors in 2016, the scale is almost doubled. The exhibition attracted an audience of more than 6000 trade visitors. 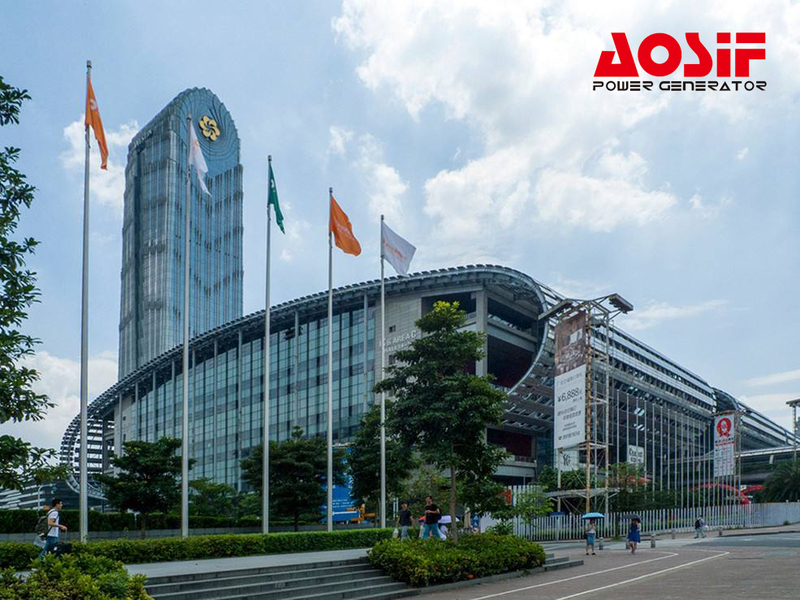 ABB held a professional technical seminar to make technical exchange more closely in the exhibition. It has been ten years since AOSIF took part in the exhibition from 2008. 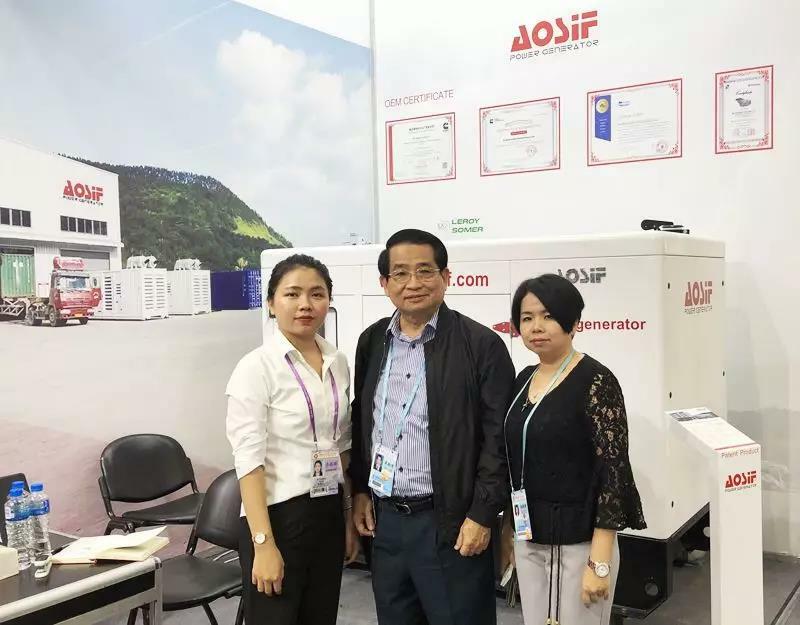 As a pioneer in genset from China, AOSIF return to Electric & Power Vietnam. 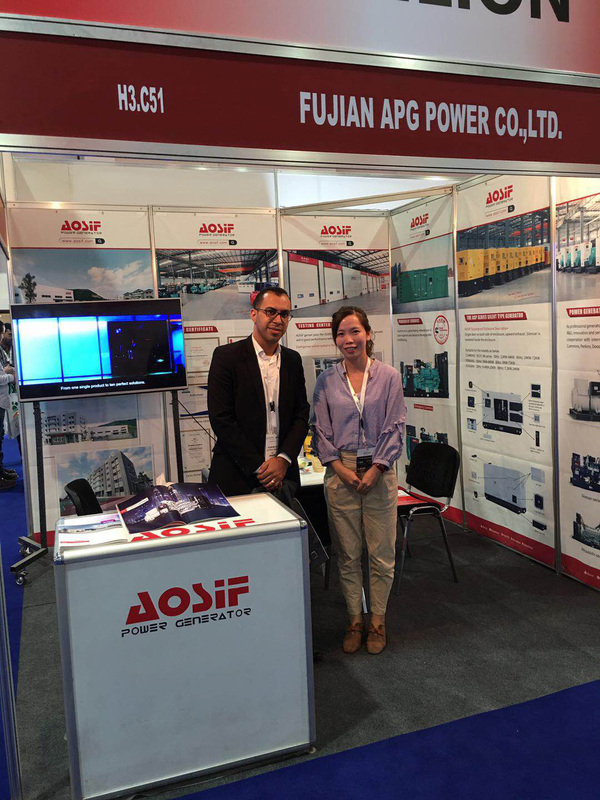 We attended Electric & Power Vietnam 2012. 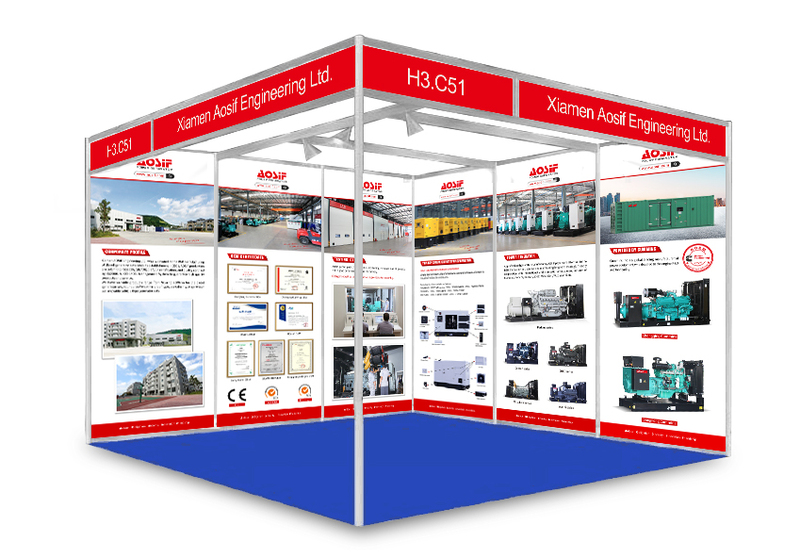 Out booth number is A19, in the Saigon Exhibition & Convention Center (SECC). 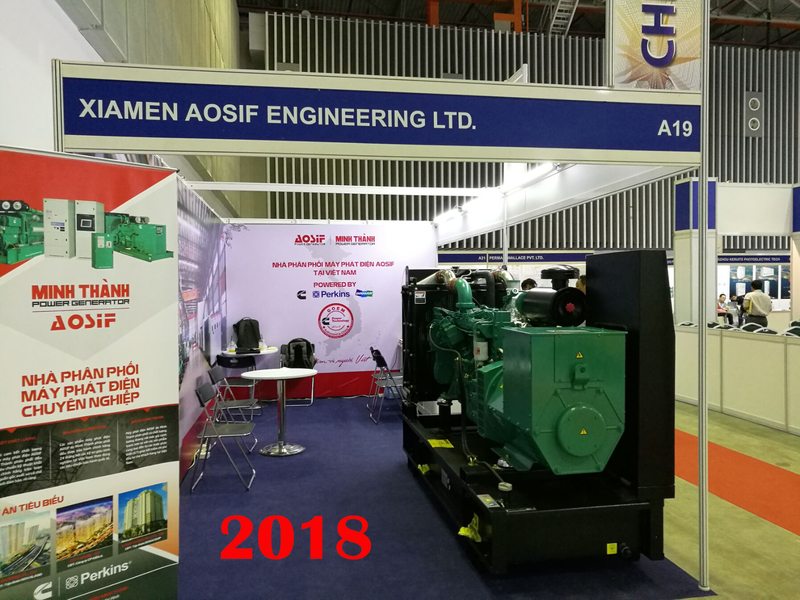 This time, AOSIF brought its main Product- diesel generator set powered by Cummins engine. 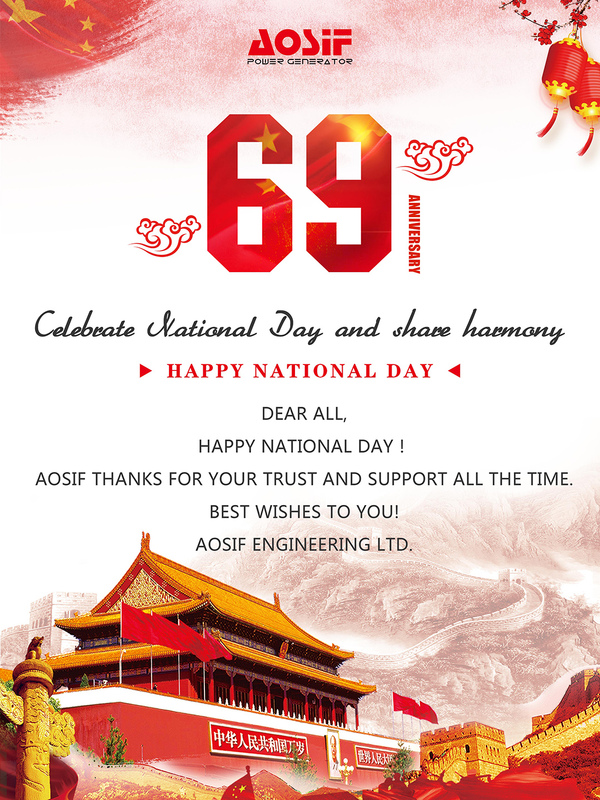 AOSIF products have a good reputation because its high quality from genuine materials and craftsmanship. 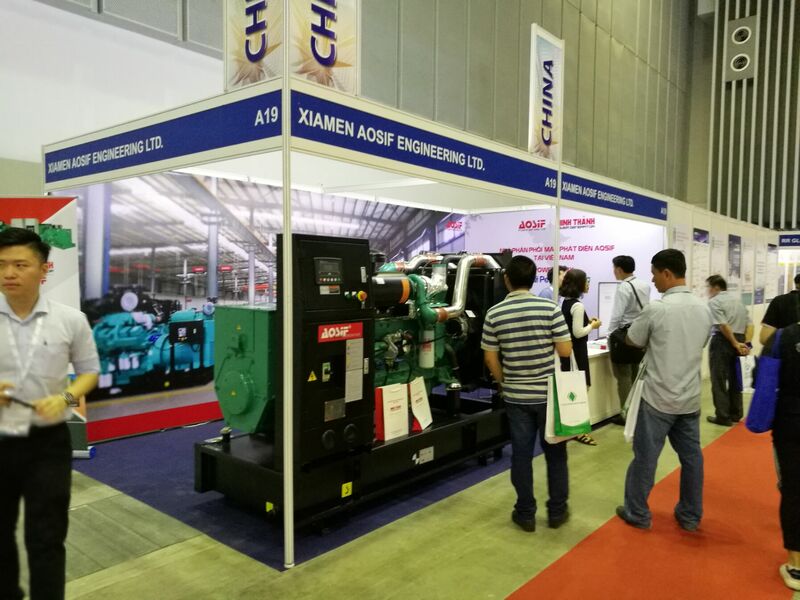 The genset attracted many visitors to enquiry the details. We met some old friends in this event, too. It was a fantastic and successful event. With enterprise concept: ardour, obligation, sincerity, innovation, friendship, AOSIF have come a long way. 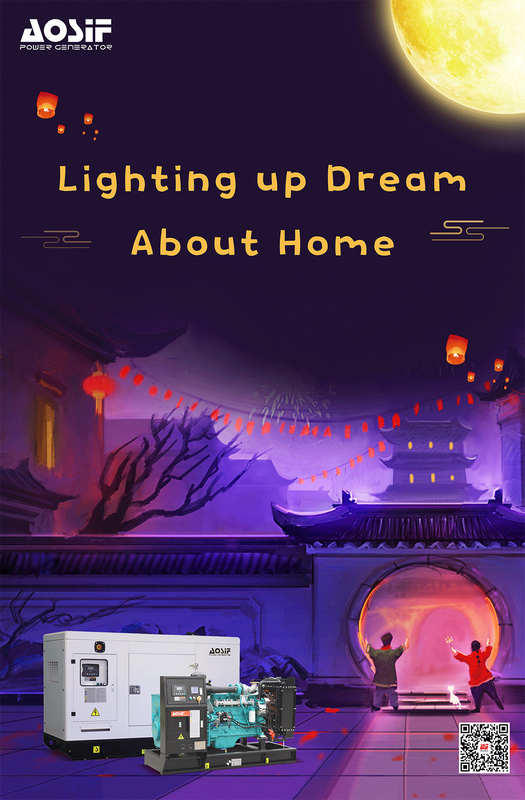 We have a dream: let the world know AOSIF and AOSIF products can be found everywhere in the world. Now, AOSIF are fighting for this dream. 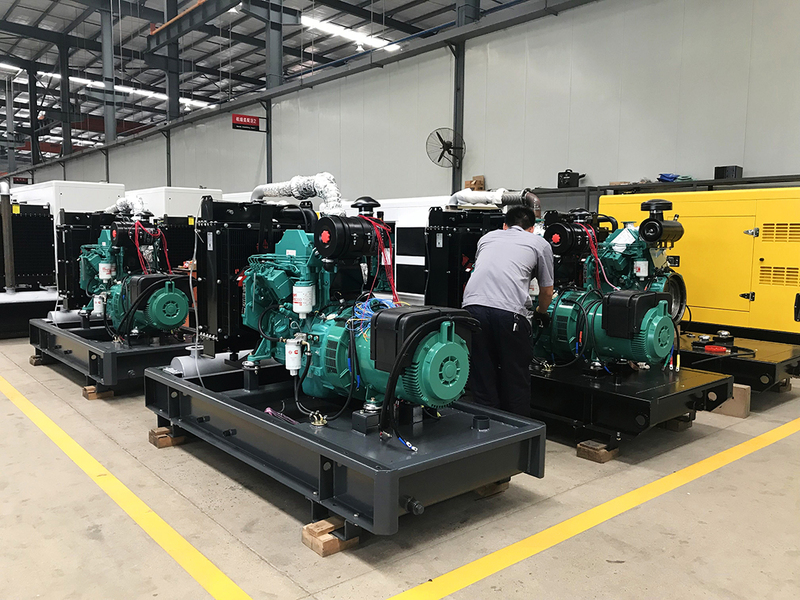 As invited, Jones Engineering Ltd,the general agent of ComAp engine controllers, held a exchange&trainingabout the generator controllers of ComAp in Aosif. 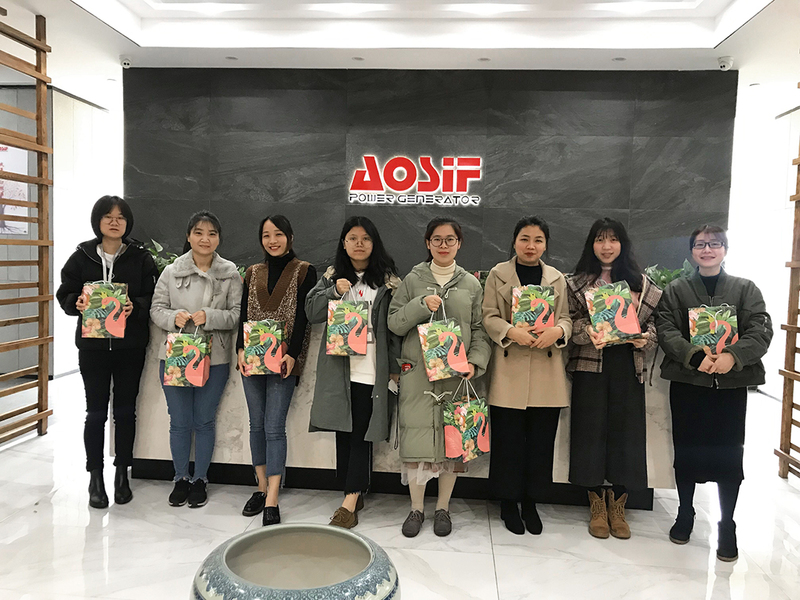 The sales team of Aosif,about 20 people took part in the conference. As a leader of the controllers,ComAp is in the front frank in the innovation. 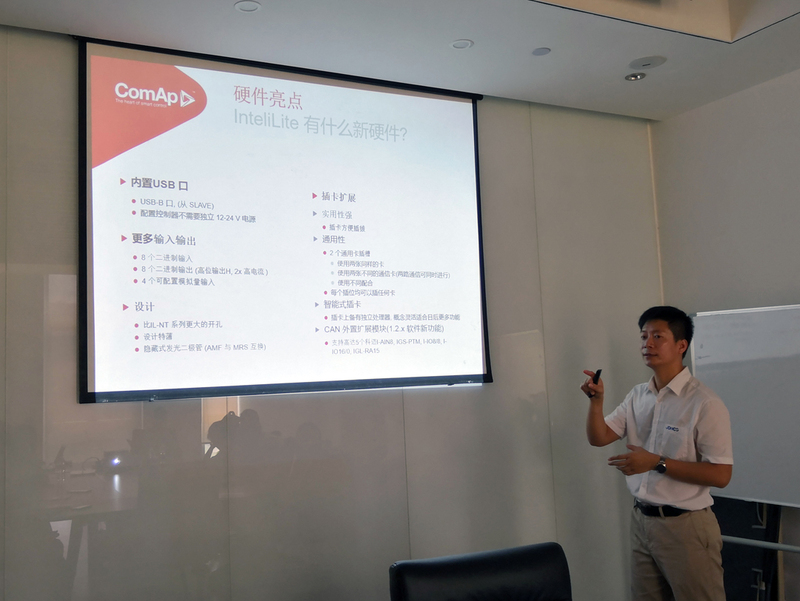 Mr. Zhong, the engineer fromJones, introduced the development history of the company, and the headquarterof ComAp. 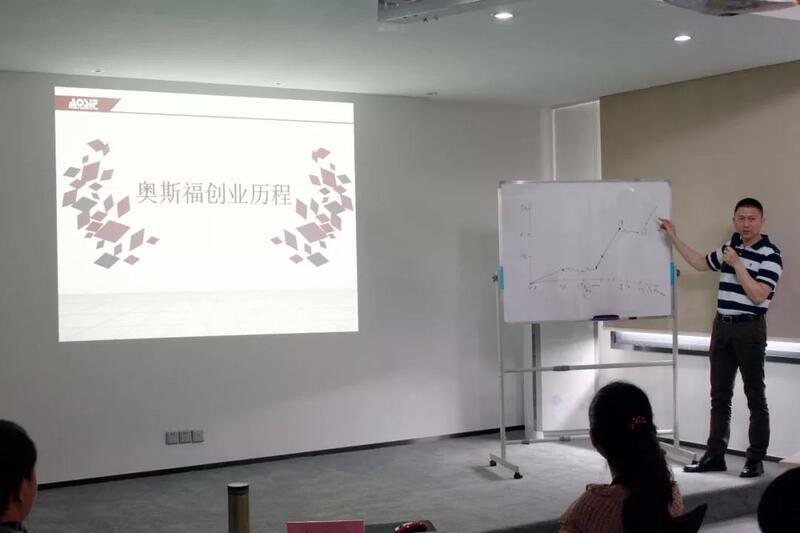 Moreover, he gave an in-depth presentation and explanation of theproducts. 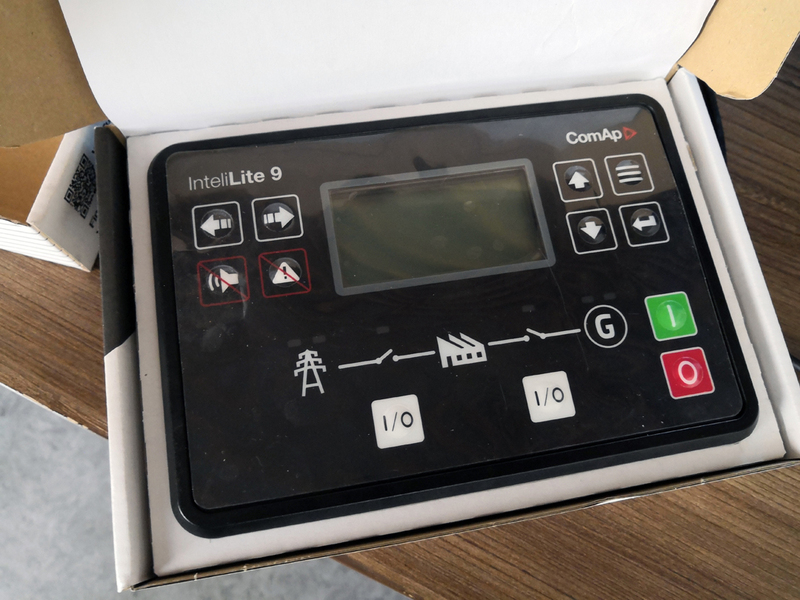 Mr. Zhong made a specialintroduction for the InteliLite 9, including its appearance, hardwares, newfunctions, and the difference of various models. 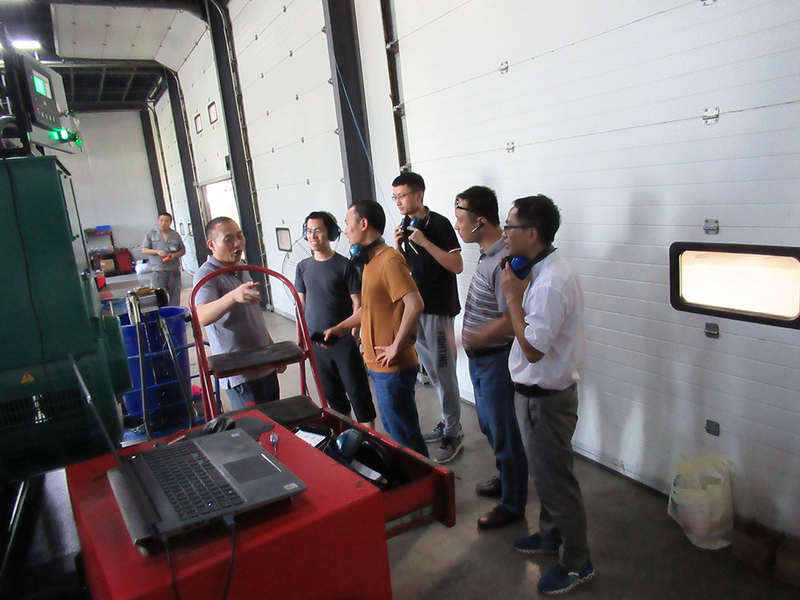 After his introduction, wehave good impression and understanding about the products. After that, we mad aexchange deeply. The exchange&training was concluded successfully. With it, we have betterunderstanding of the selection and application of ComAp controllers. 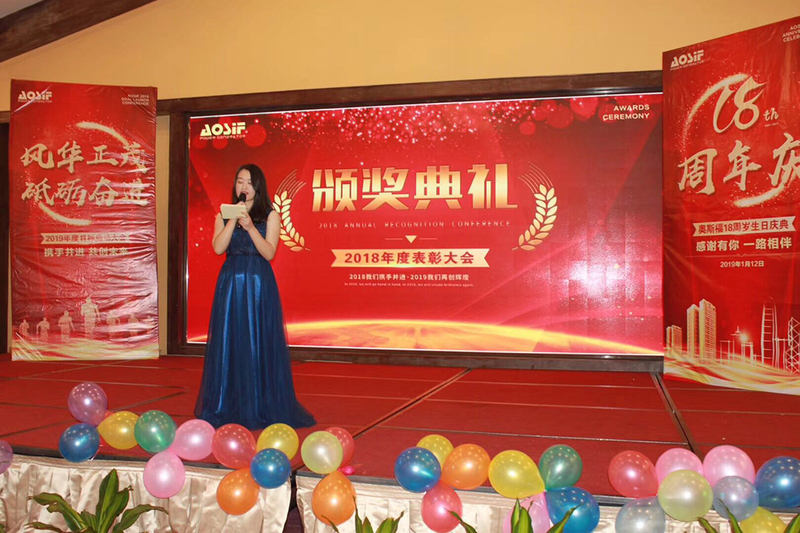 It willhelp us to improve our ability and service, to meet higher requirements fromour customers. 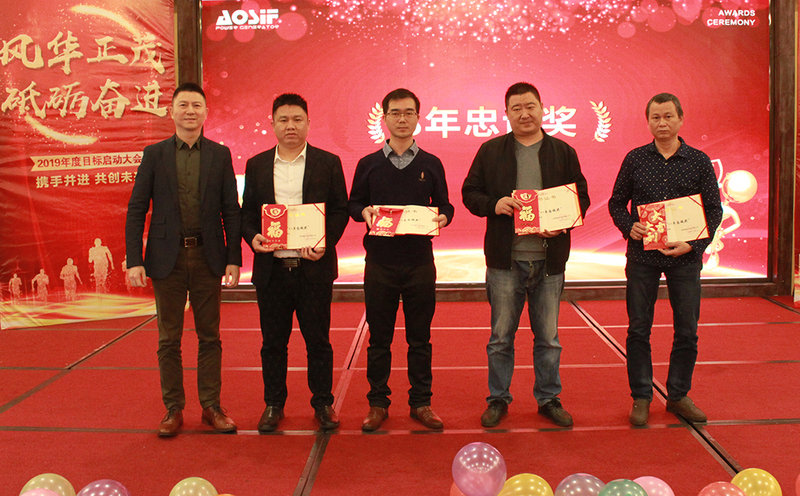 The 131(from April 1st to August 9th) activity of “redouble achievement in sale” has harvested a fruitful results under the joint participation and common effort of all AOSIF employees. 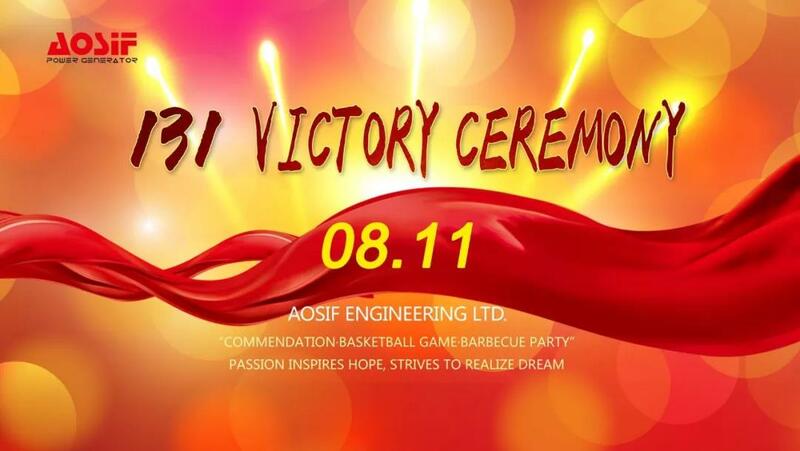 At the end of this event, in thanks to all employees for their hard work and dedication, AOSIF held a grand "131 Victory ceremony" on August 11, 2018. The celebration were divided into three parts. 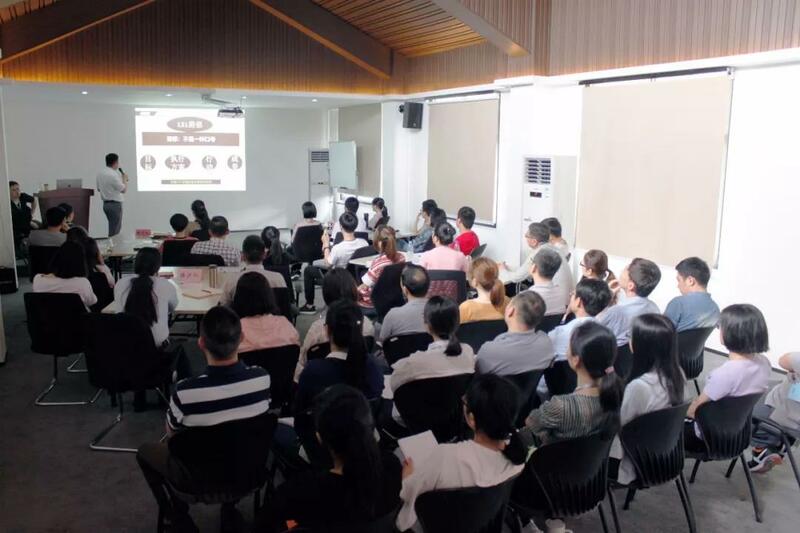 The 131 performance multiplied review & commendation conference was held in the meeting room, 3rd floor of Changtai factory. 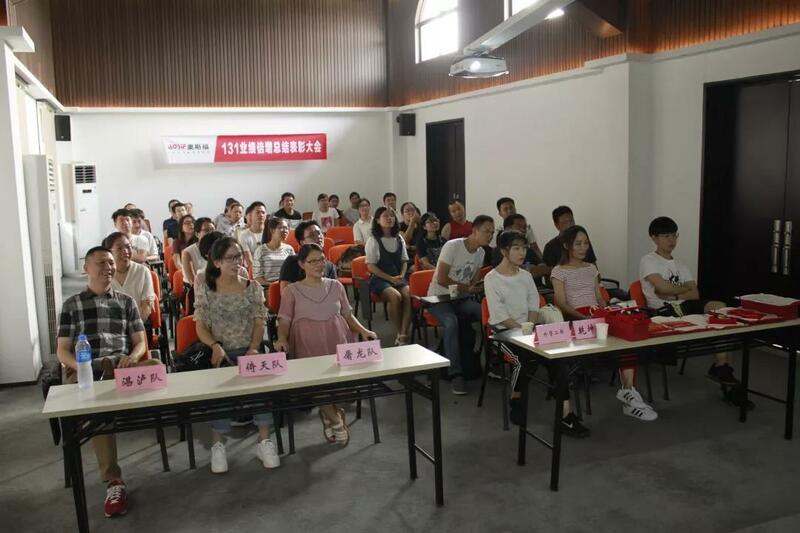 The Participants included all sales, and the deparment managers and above, assistant manager of Production Department, wrokshop director, the staffs of Marketing Service Department. 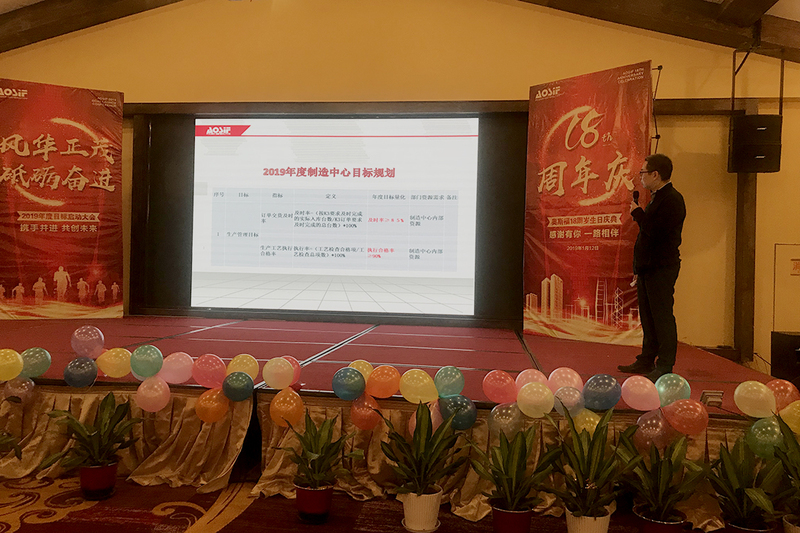 The sales manager and the regional sales manager made a review and summary to the 131 perfermance. Each of them is sure that the 131 action is good to the performance achievement and teamwork and coordination, and hope there will be more actions like it in the future. 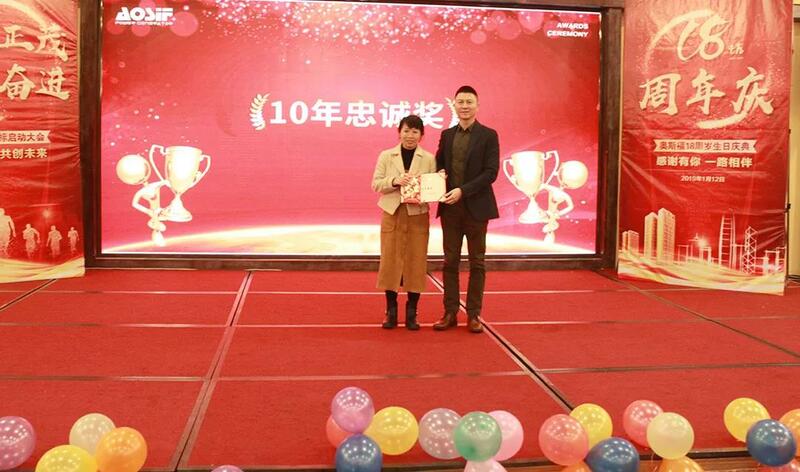 After that, the award ceremony took place. 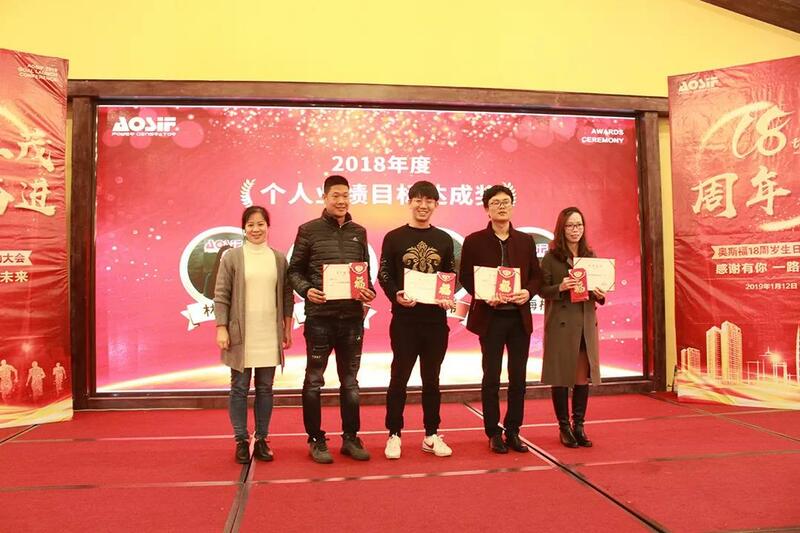 The prizes include: 131 Sales Champion, 131 Personal Achievement Award, 131 Best Newcomer Award, 131 Best Development Award, 131 Excellent Performance Award the Best Team Award. 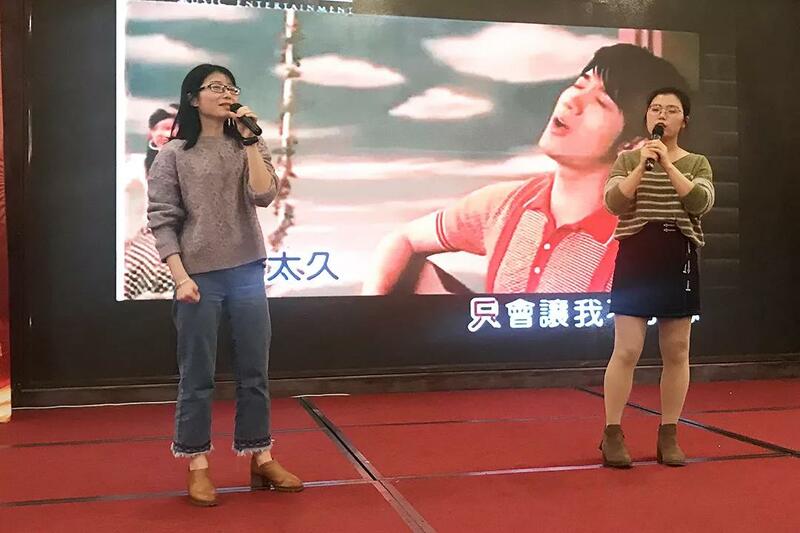 In the end, Mr.Wu affirmed the 131 achievements, and also made an important points on the annual perfermance goals: a series of meausres will be took to support to achieve the goal, we must achieve the annual goal, and everone must continue without let-up but with courageous. 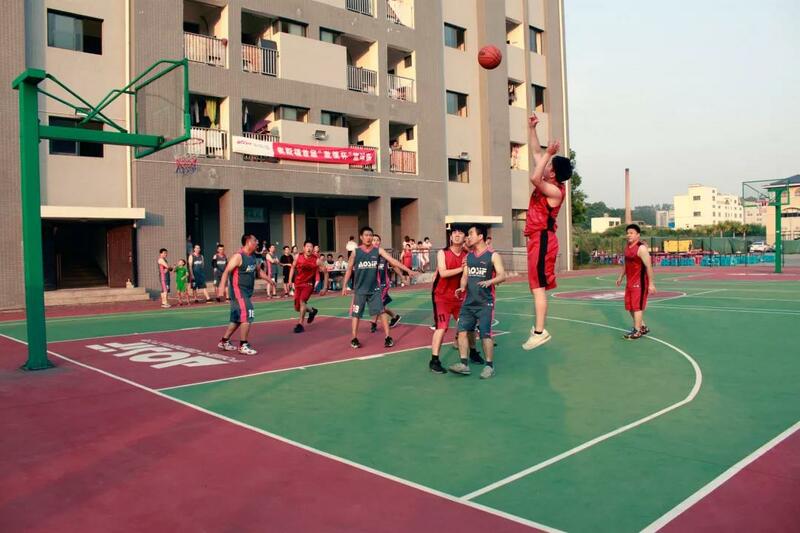 The first “Passion Cup”basketball game was held in the basketball court in Changtai. 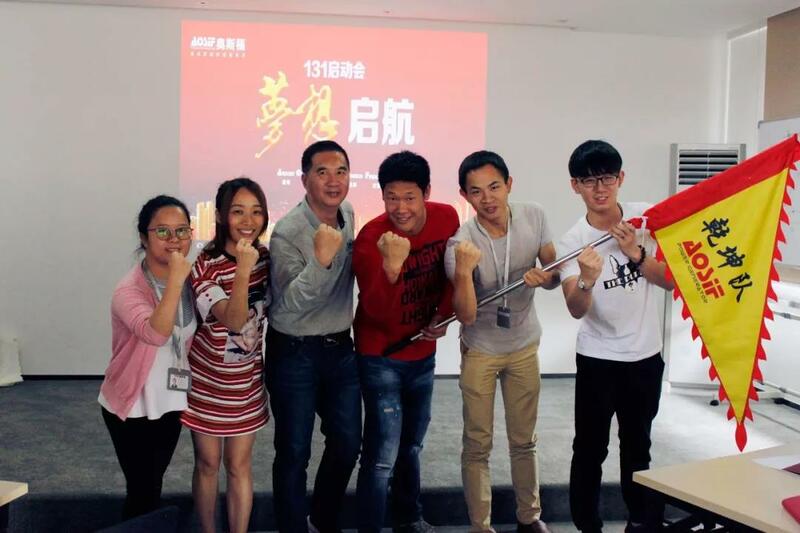 The marketing team leaded by Lu Weiping fight with the Support team leaded by Zhuang Liquan. The game began with a loud whistle at 17:50. The game was very exciting. The palyers attacked positively and defended closely, perfect cooperation, and clever steal to make the competition into most intense time to time. The audience cheered for their teams and warmly applauded the excellent performance of the players. 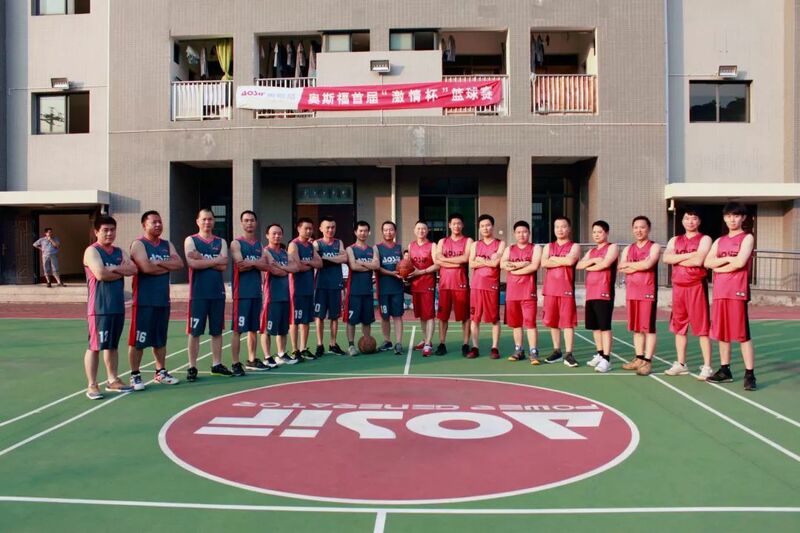 Everyone was attracted by the charm of basketball. 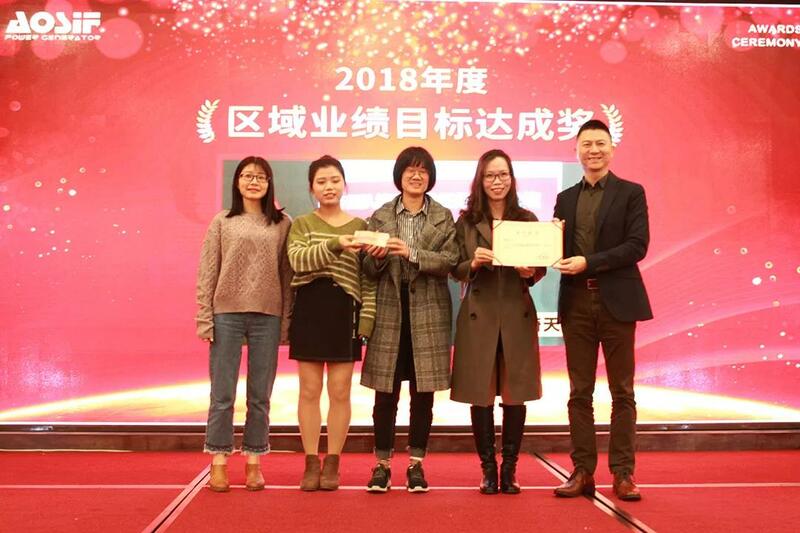 The marketing team won the champion after four rounds of competition. With this competition, we felt the employess from AOSIF with passion and enthusiasm, and made a good foundation for the basketball game in the future. 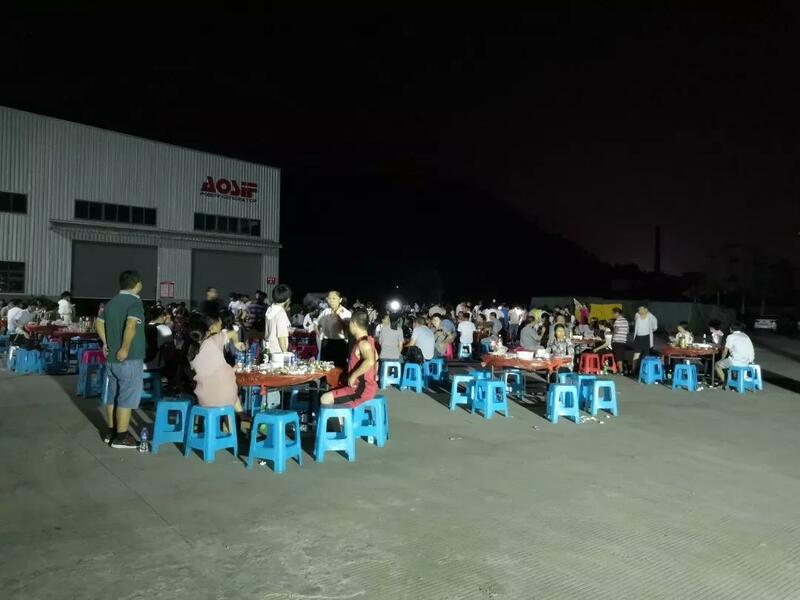 A barbecue beer dinner was held in the factory in the evening. 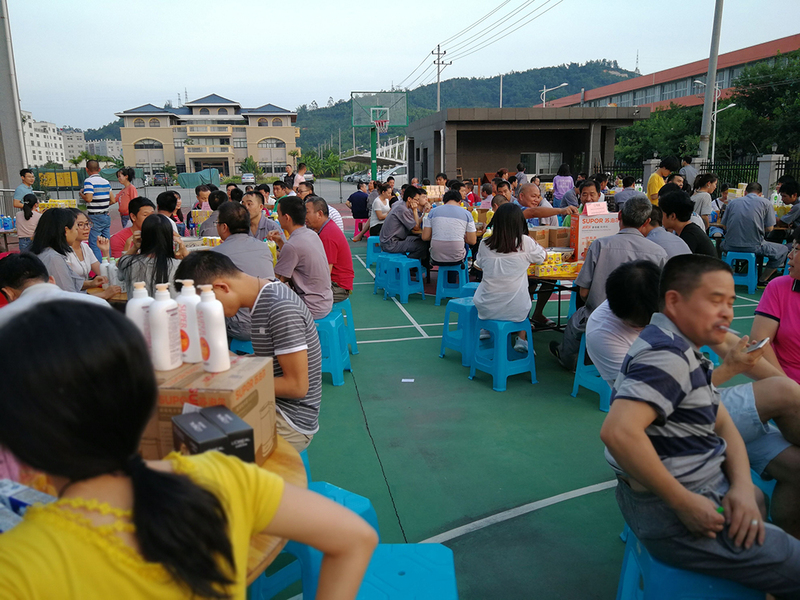 Plates of delicious barbecues, seafood, fruits brought us a relaxed and pleasant warmth. With the games going on, the atmosphere was very exciting. 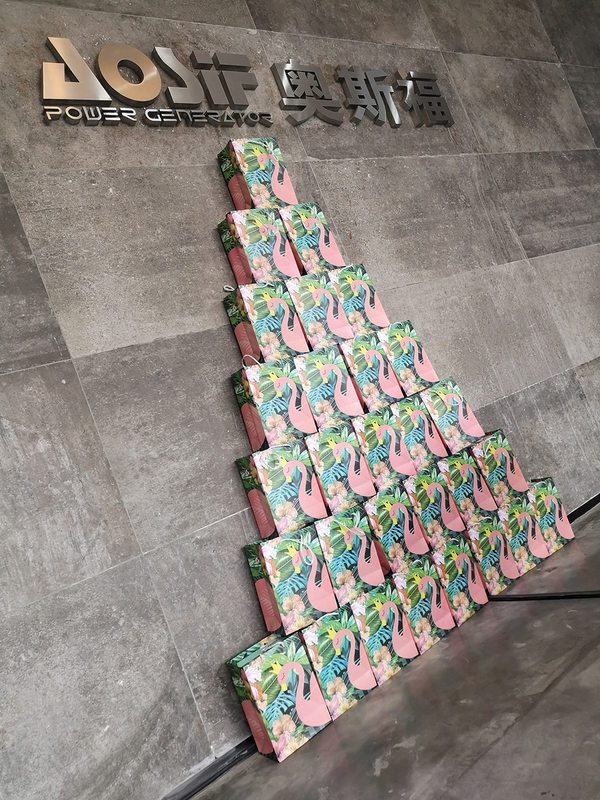 The 131 performance multiplied action ended, but the dream is still going on. Let’s continue to move forard to the goals and make contributions to the future of AOSIF. 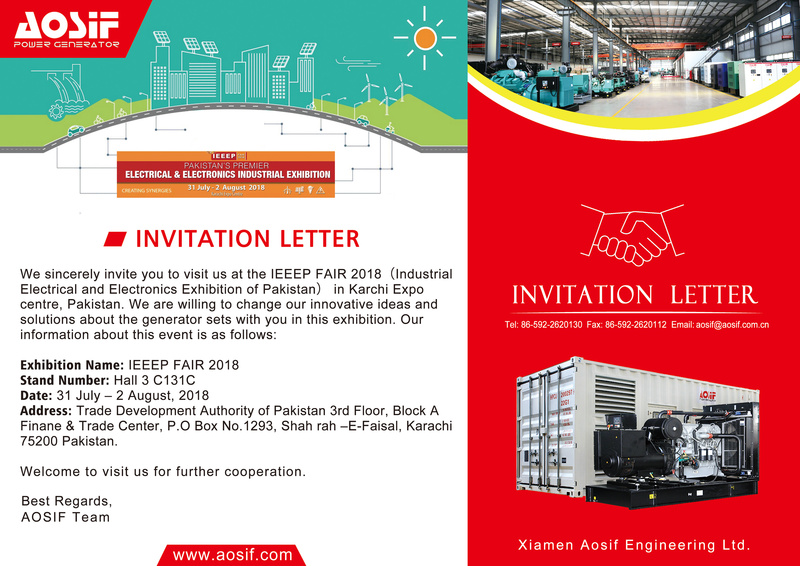 We attended the IEEEP FAIR2018, the 9th Electronics and Electrical Engineering Industrial Exhibition in Pakistan from July 31 to August 2, 2018. This fair was in Trade Development Authority of Pakistan 3rd Floor, Block A Finane & Trade Center, P.O Box No.1293, Shah rah –E-Faisal, Karachi 75200 Pakistan. The fair is organized by the Institute of Electrical and Electronics Engineers of Pakistan (IEEEP). 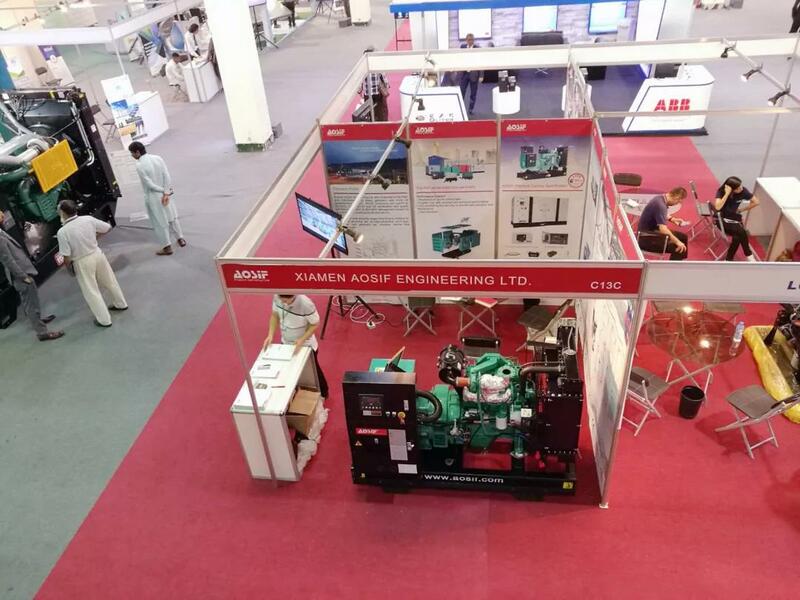 This fair is one of the biggest Electronics and Electrical Engineering Industrial Exhibition in Pakistan, show-casing a large collection of industrial merchandise and service products, including Power Generation Equipment & Services, Industrial Automation, Instrumentation & Control Systems, Energy Conservation, Renewable and Alternative Energy Technology etc. The exhibition has a good performance and a lot of professional audience. The total exhibition scale has been expanded from the first 2000 square meters to 19000 square meters. 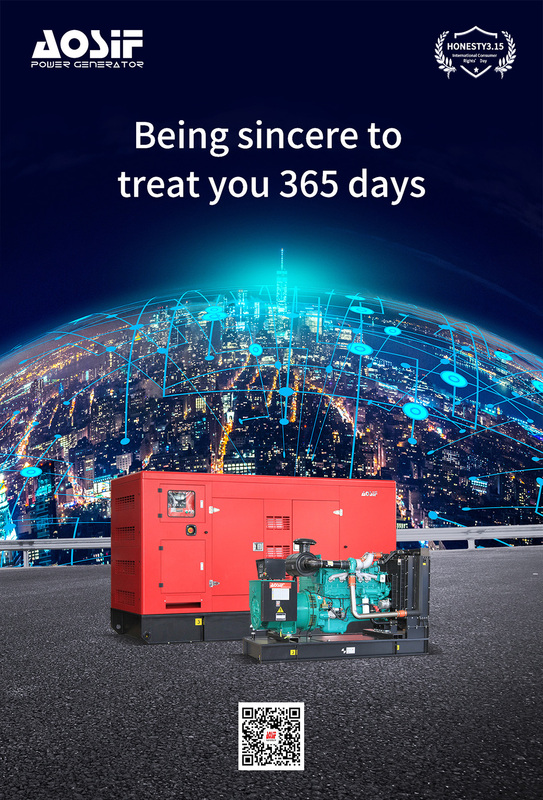 In 2017, the exhibitor including the famous enterprises like ABB, SIEMENS, Schneider and so on. 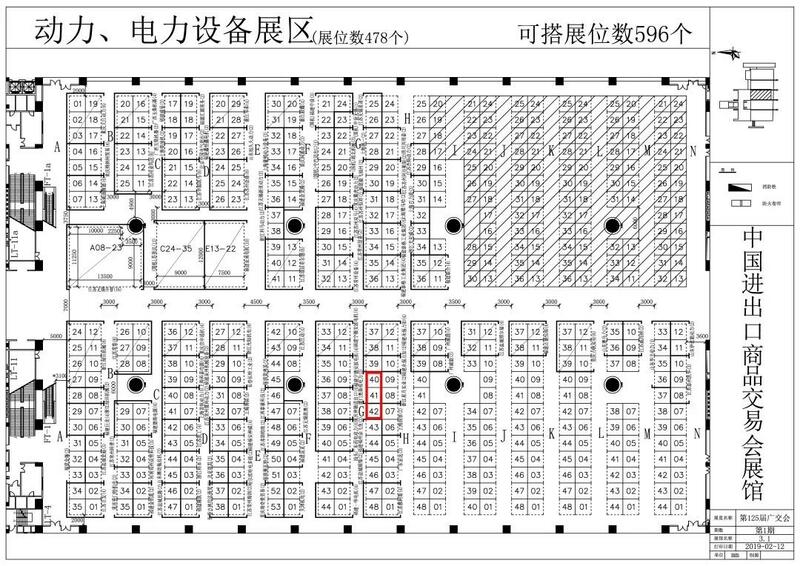 Our booth number is Hall 3 C131C. 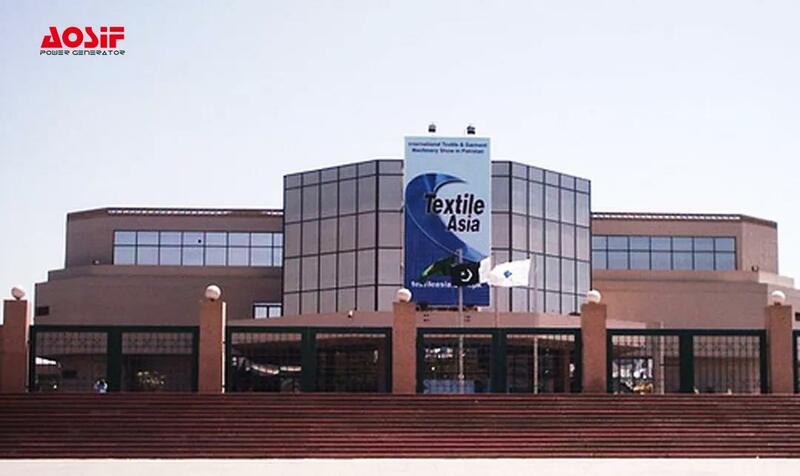 Most of the visitors are from Pakistan to the exhibition. 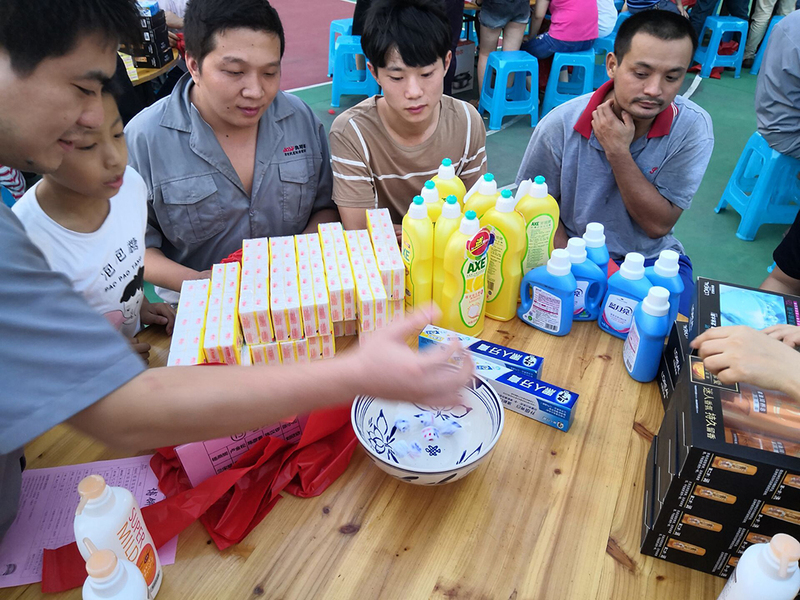 The staffs warmly and patiently introduced the products to the visitors. 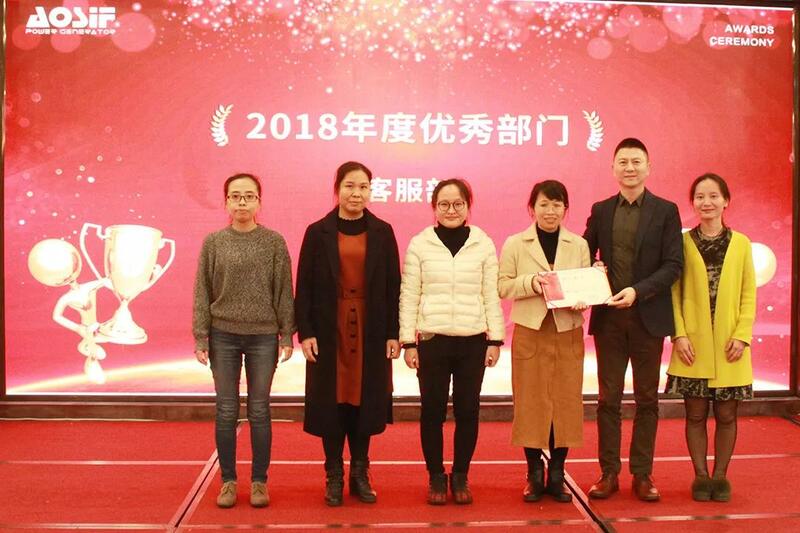 The visitors expressed their appreciations to our high quality products, rigorous and pragmatic spirit, immediate work style. 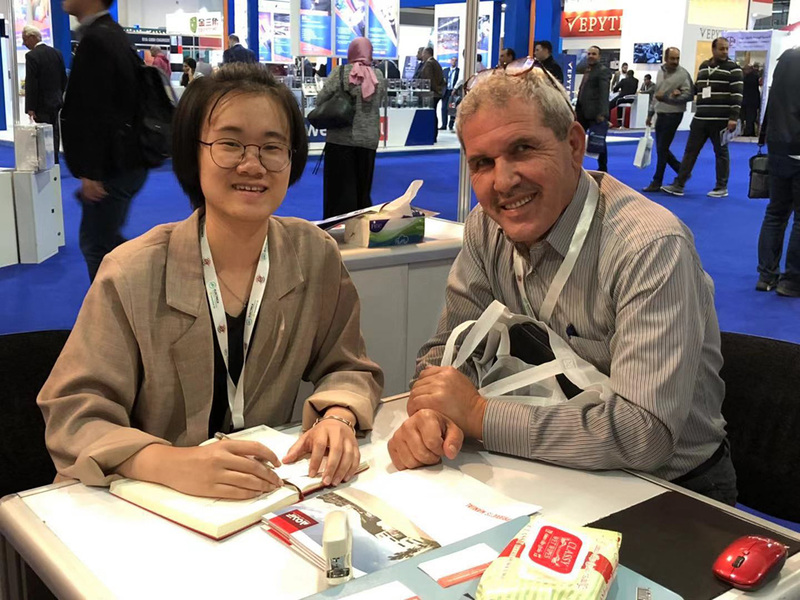 The good news is some visitors planned to visit our factory for further cooperation after the exhibition. 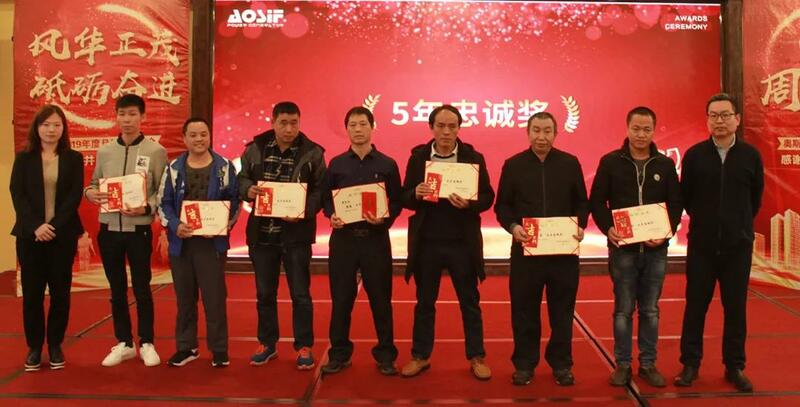 With the fine reputation and good quality in overseas, AOSIF has confidence and ability to raise the makret share for its products. 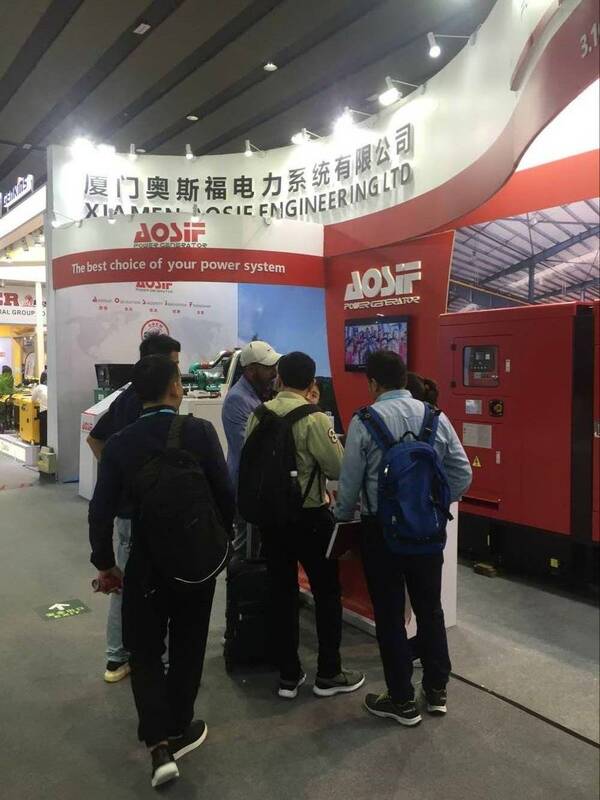 With this exhibition, there will be more overseas customers have an idea about AOSIF’s products. 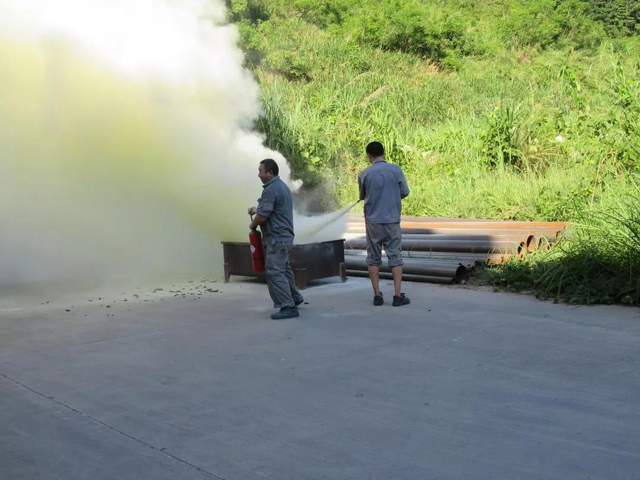 In July 17, 2018, in order to make all employees understand the basic knowledge of the fire fighting, improve their awareness of safety, enhance their ability to protect themselves, grasp the contingency and escape skills for the sudden fire, learn to extinguish the fire as well as orderly conduct the evacuation of personnel and property, ensure the safety of employees' life , and the safety of the public property, a fire drill was organized in a real battle by our company. 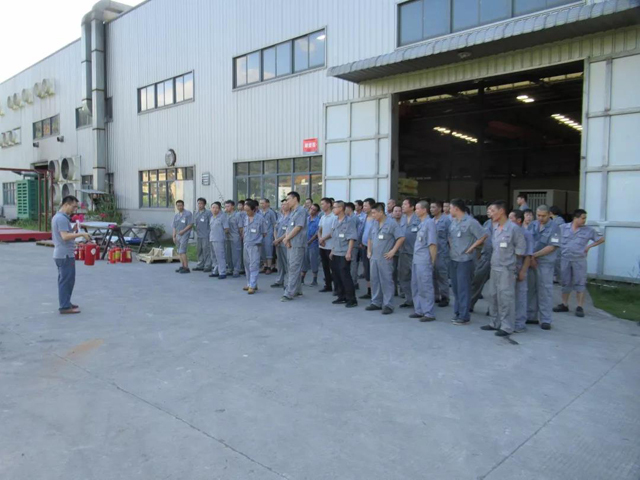 The whole staff fire drill was headed by Zhuang LiQuan, the Manager of quality control department of the company. He was responsible for the organization and command of fire drill. 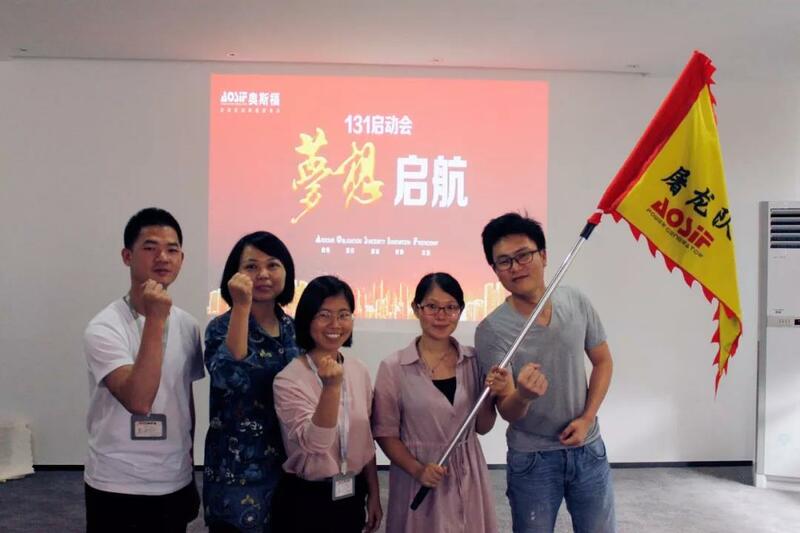 Associate Conductor: Xie Shui Lin, coordinative work leader: Huang Zhanming, safety director: Han Qingshuang. And two professional emergency teams were available, too. At 8:30 am to 9:30 am , a special conference on fire drill was held to instruct and convey emergency drills. 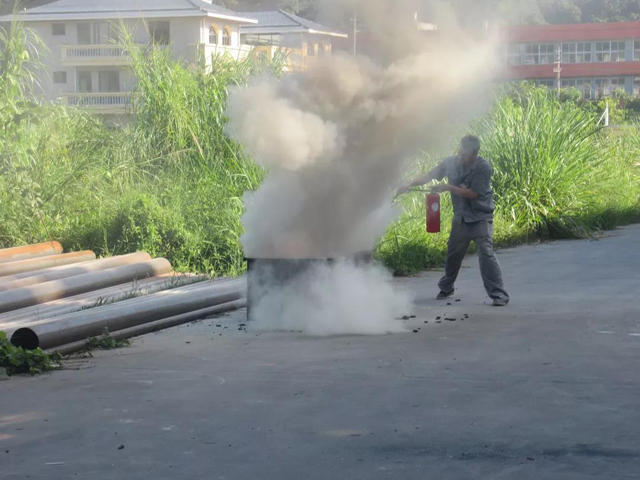 Fire safety knowledge and practical training for relevant personnel were carried out, and detailed arrangements for fire drill were carried out in the afternoon. 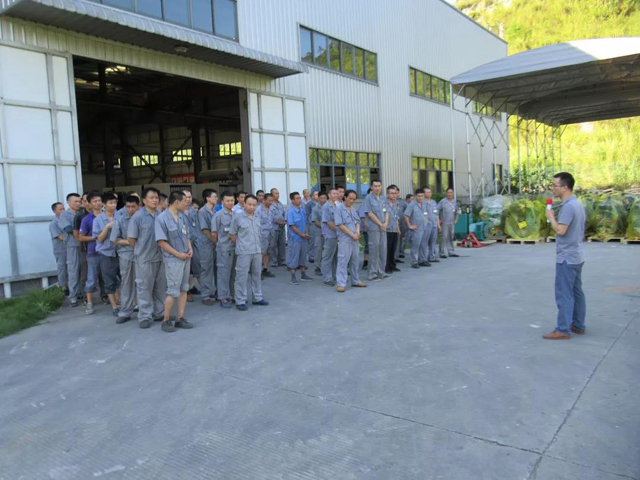 At 10:00 am, Huang Zhanming , the coordinator , inspected the warehouse fire equipment and supplies, and reported to fire drill command center. At 15:50 , someone found a fire in the company, immediately checked and reported the quality control department. 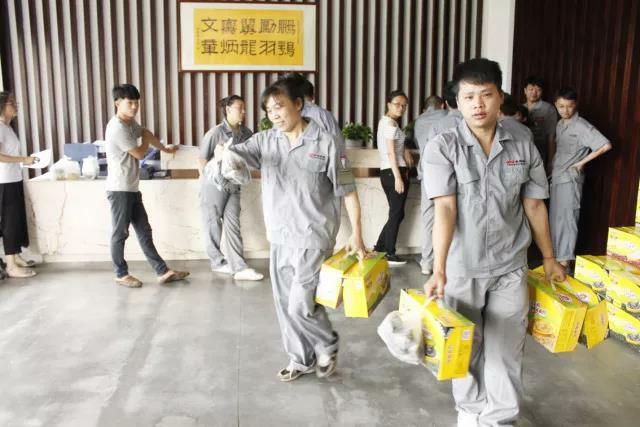 The quality control department immediately reported the commander-in-chief of the fire control command center, and the commander-in-chief to start the emergency rescue instructions and notify all the volunteer fire crew to gather in the vicinity of the fire alarm for emergency treatment. After the warning signal was issued, the members of the leading group, the professional group and the fire brigade arrived in the scene to organize the rescue work in five minutes, and reported to the commander-in-chief about the situation of personnel in place. They followed the order given by the commander-in-chief. The commander-in-chief looked at the fire situation at the scene to determine the emergency rating. At that time, the fire was relatively small, and the volunteer fire brigade organized its own personnel to put off the fire. 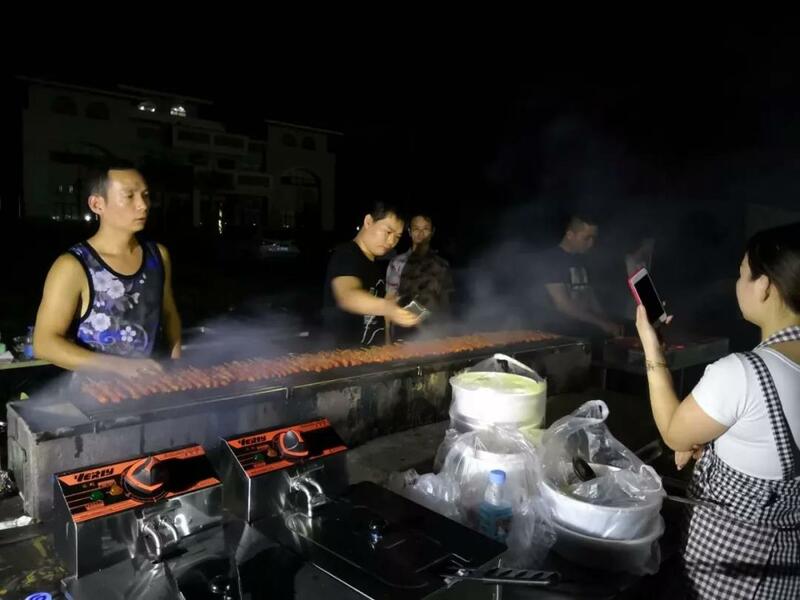 (if a big wind is coming suddenly, the fire is getting bigger, the commander-in-chief immediately ask the fire brigade to evacuate, it is more difficult to extinguish the fire by ourselves, immediately call 119 alarm calls, and try our best to carry out fire rescue). Through the fire drill, the security awareness and fire extinguishing ability of the people who participated in the fire drill were enhanced. 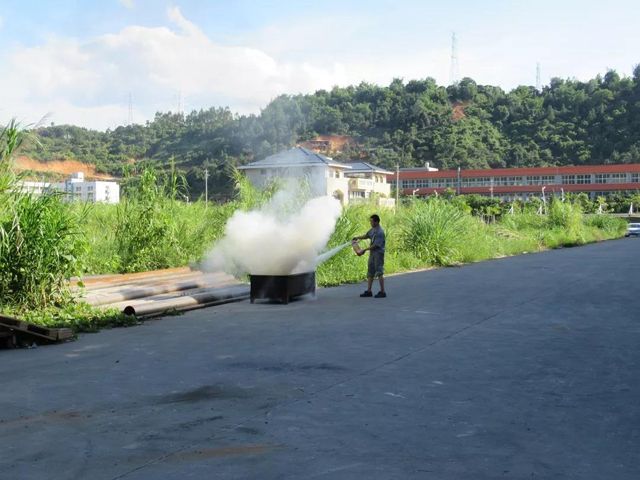 All the staff of AOSIF had a further understanding of the common sense of fire safety, and the ability to combat the fire was improved. During the fire drill, the organizing ability, command ability and contingency ability of each drill team were impoved , too. 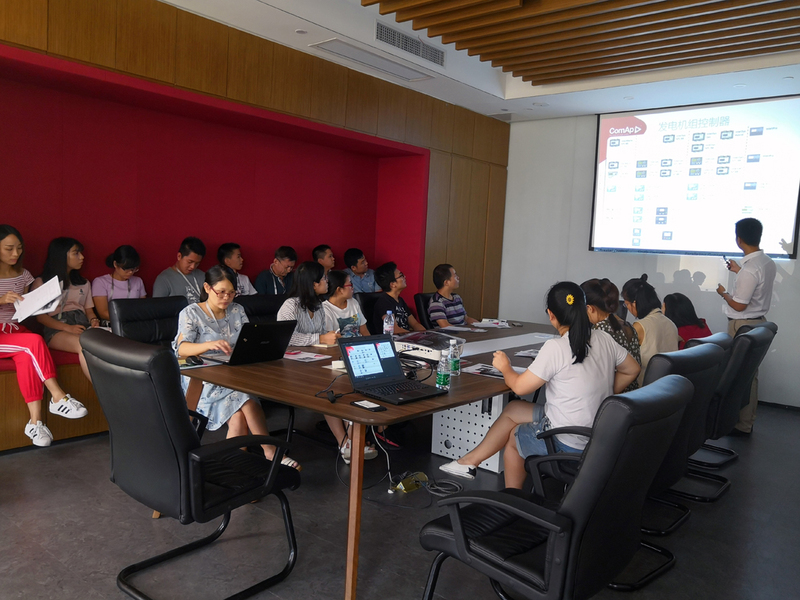 The meeting for sales examination&award and half year summary was held in the meeting room of Xiamen office at 2:00 PM, July 13, 2018. 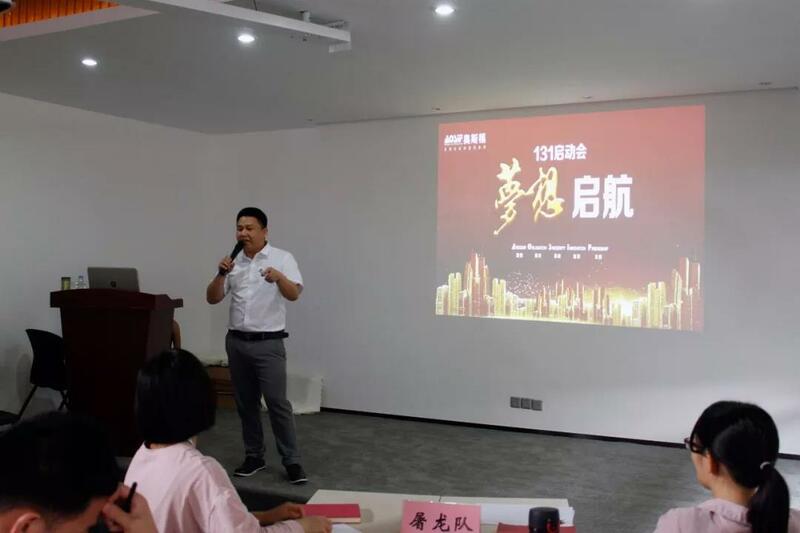 The meeting was presided over by Wu Zhen, the general manager of the company.The whole sales staff attened it. The meeting began with the Song of AOSIF (walk together). 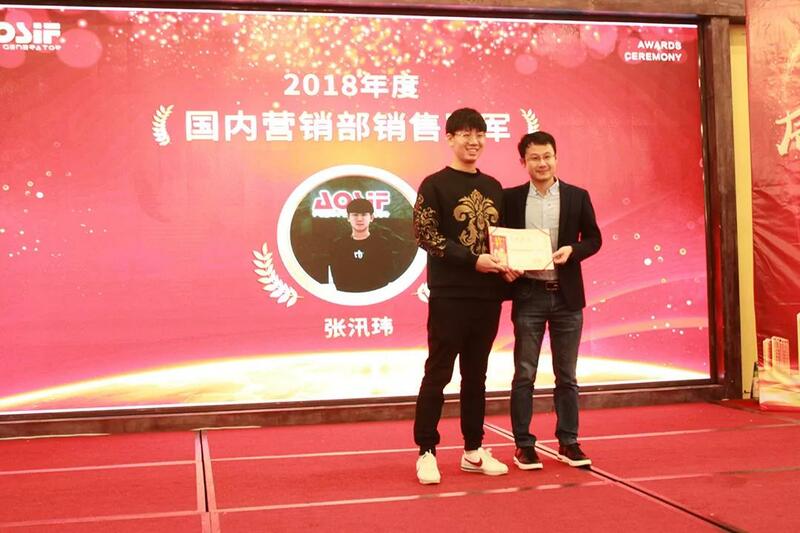 Thank you very much for these years,under the leadership of Mr.Wu, we are in AOSIF hand in hand to walk together to the target. Afer then, through the sales performance analysis table (2017.2018 year comparison), we learned about the achievement of our performance in the past six months (the completion rate of the year 2018 performance is 42%, and the immediate completion rate is 83%). The first half of this year is better than the first half of last year. 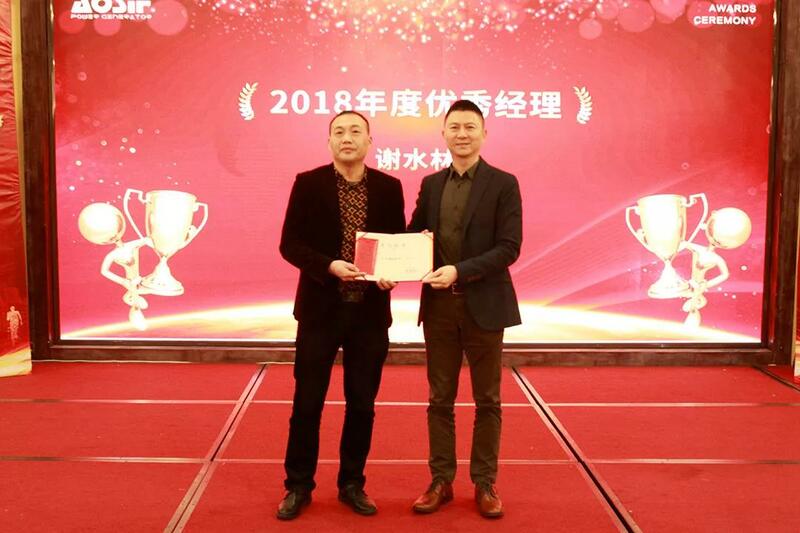 Mr.Wu affirmed the hard work of everyone and he required that in the second half of the year, we will make persistent efforts to achieve the company's performance goals. 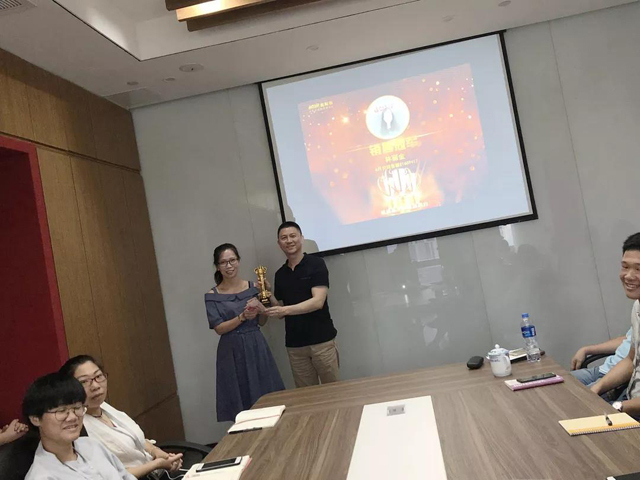 The monthly sales prize presentation came after that, the monthly sales champion, the best development award, the breakthrough award, the million champion, the team champion were awarded in turn. The applause continues... 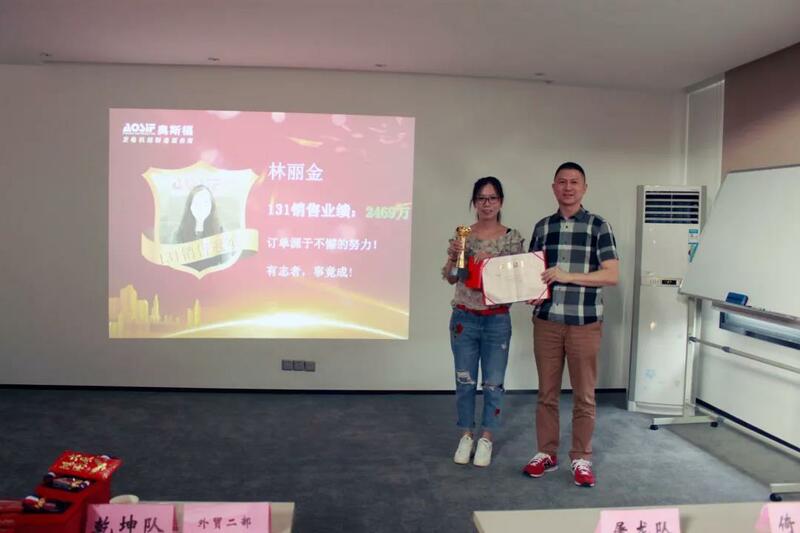 The award is rewarded with a kind of encouragement to other people. We wish everyone in AOSIF will work together to achieve self value. Address: Trade Development Authority of Pakistan 3rd Floor, Block A Finane & Trade Center, P.O Box No.1293, Shah rah –E-Faisal, Karachi 75200 Pakistan. Welcome to visit us for further cooperation. A lot of activities in the Dragon Boat Festival. It is full of happiness. AOSIF gaved each employee a good blessings, too (Zongzi and drinks were received by the employees). 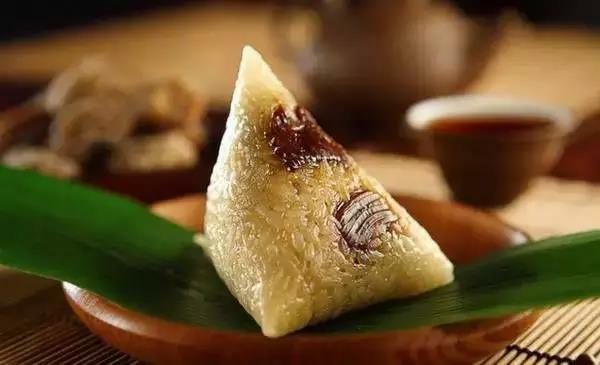 We may all will be warm in the stomach and sweet in mind when eating zongzi and drinking drinks. 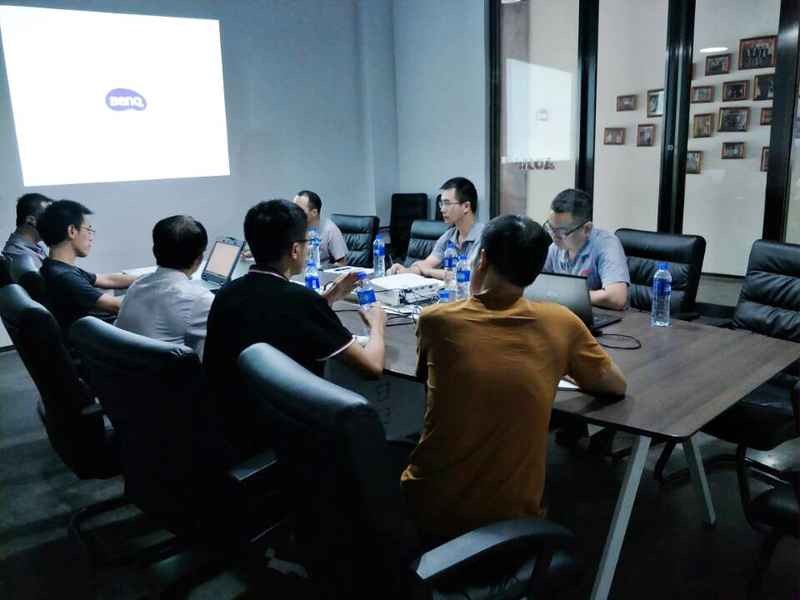 “131 kick off meeting”was held in the training room of Changtai factory in the morning of April 23, 2018. 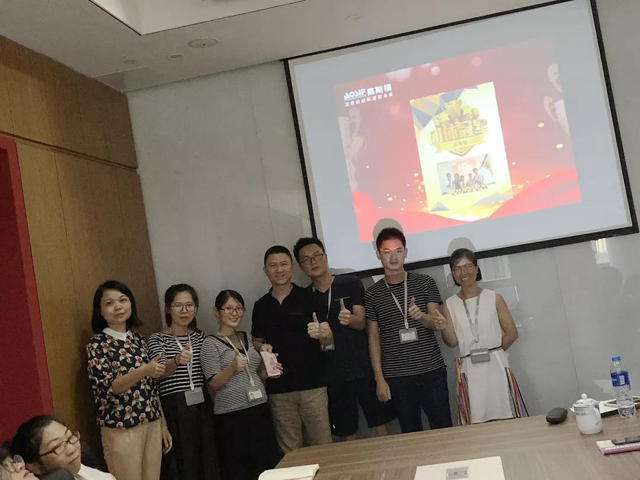 The Participants included all the deparment managers and above, assistant manager of Production Department, wrokshop director, all internel trade sales and internatioal trade sales,all staffs of Marketing Service Department. 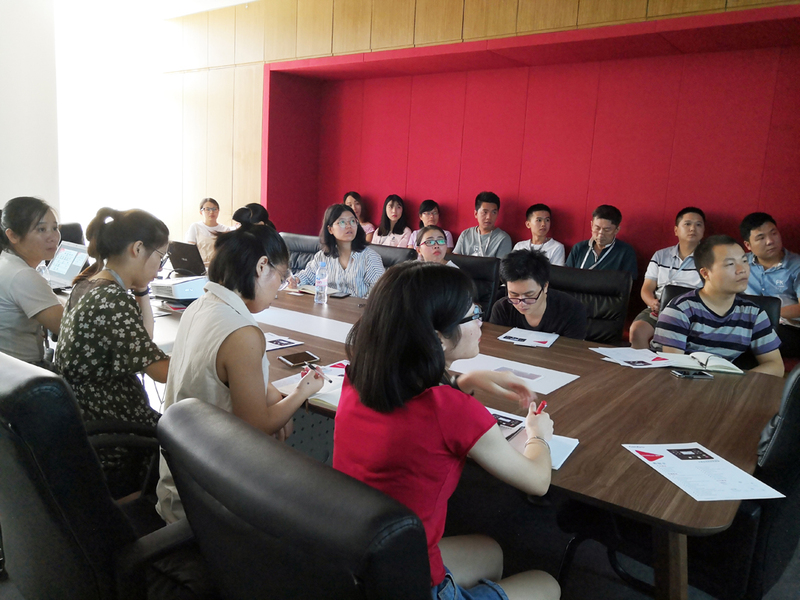 Mr. Lu, the manager of Marketing Dpartment, presided over the meeting. He explained the meaning of “131”: “that is to double the performance in 131 days”, also the purpose of the contents of 131. 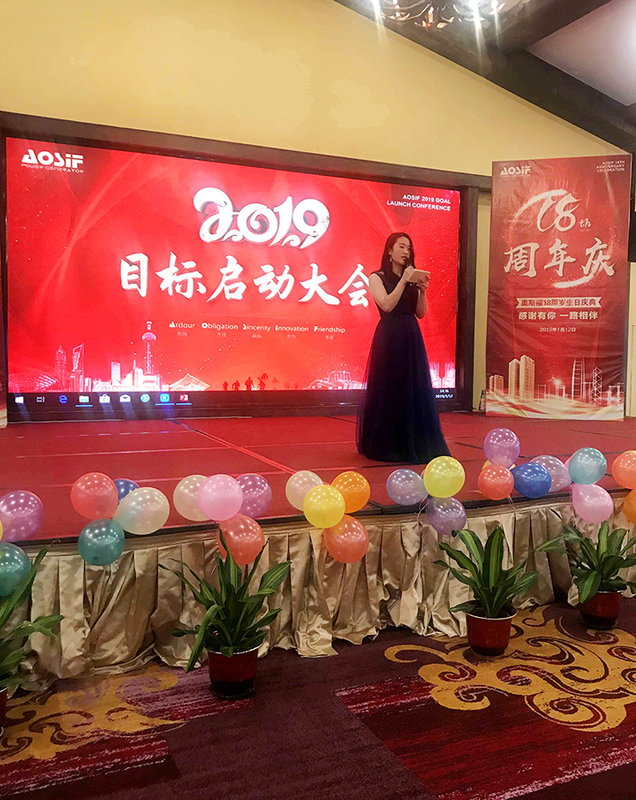 Then, it came to the calling of general manager: Mr.Wu reviewed the history of AOSIF(the process and the turning point of AOSIF in the 17 years), reflected the existing problems, combined the current situation, presented the development solutions for AOSIF(the rapid development is must), the goal( the sales scale is over 1 billion), the vision(the world famous brand, to create industry benchmarks). The incentive policy is the rewards will be double if the 131 target achieved. All the sales are ready and with full confidence to reache the goal. The meeting ended with everyone's singing and applause. The"131 kick off meeting" ended, but the dream just set sail. 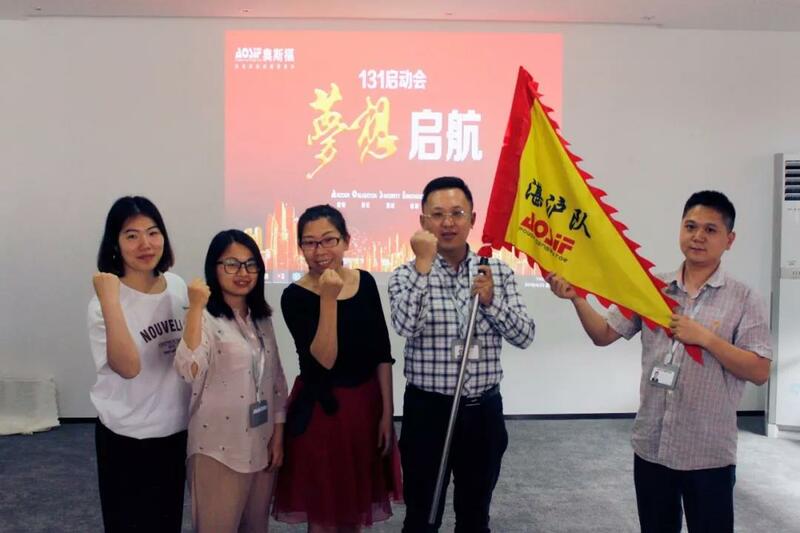 We all believe that we will be fearless and without the afraid of defeat to contribute to the tomorrow of AOSIF, under leadship of Mr. Wu. 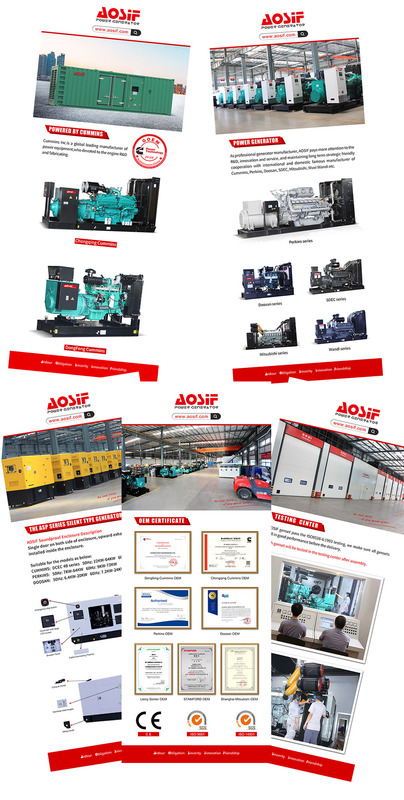 We believe that the tomorrow of AOSIF will be more brilliant. China import and export fair, also known as the canton fair, first fair was held in the spring of 1957, to be held in spring and autumn in Guangzhou every year, it is recognized as china’s longest history, largest scale, and the most complete variety of commodities, the largest number of purchaser and the most widely distributed countries, a comprehensive international trade event with the best turnover and best reputation. 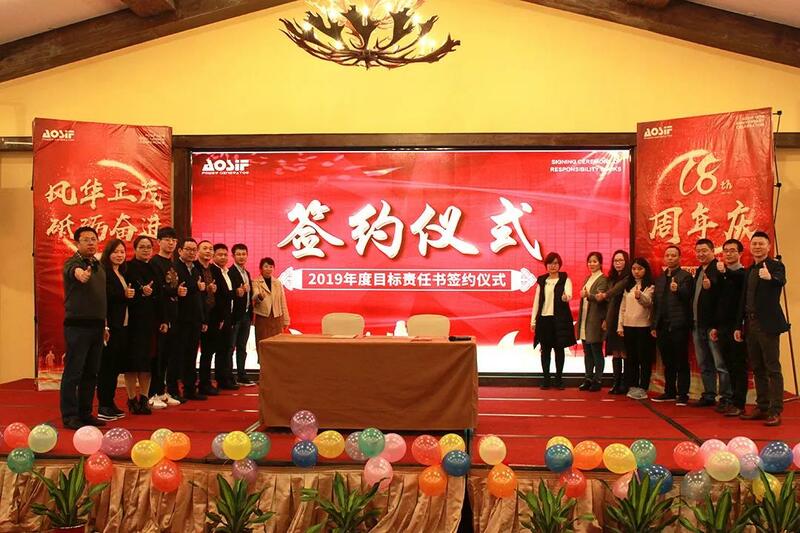 AOSIF has been invited to the first phase of the 123rd Canton fair in spring. 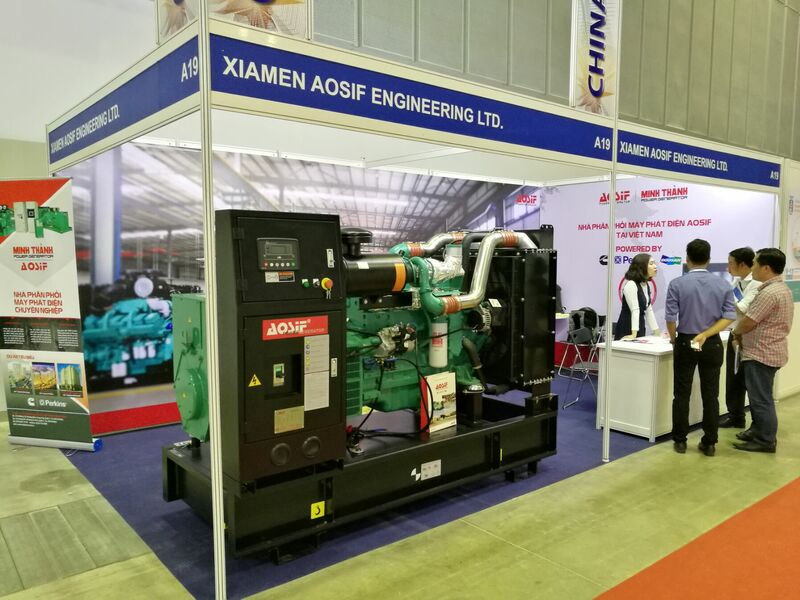 This exhibition was held at china import and export exhibition hall (No.380 middle Yuejiang Rd, Haizhu district, Guangzhou City) on April 15th-19th,2018. 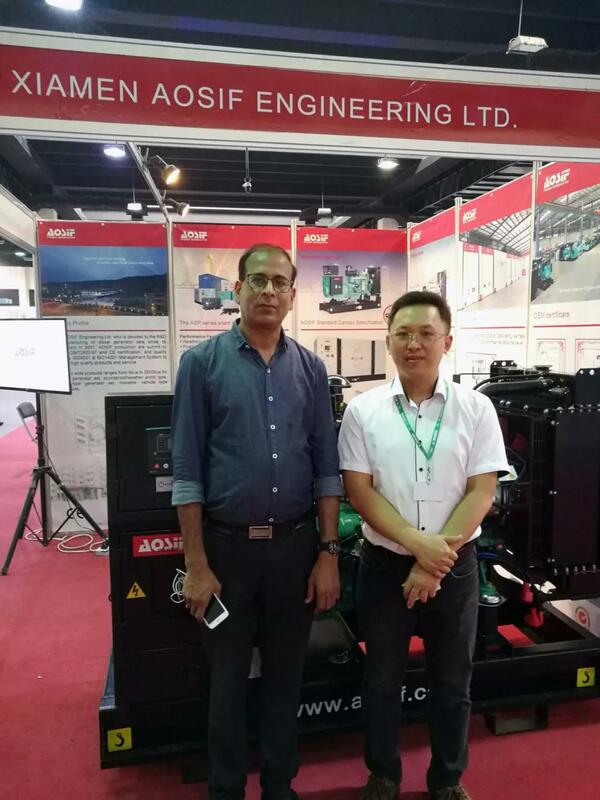 The exact location for AOSIF was located in heavy duty machinery hall 3.1 K41-43, this exhibition has attracted customer from all over China to visit and consults. 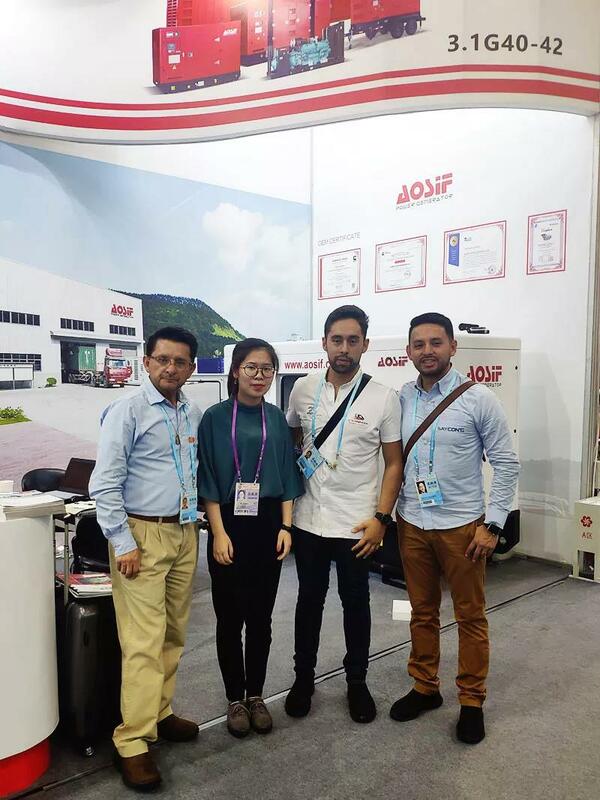 Our staffs cordial welcome and patiently explained AOSIF products. 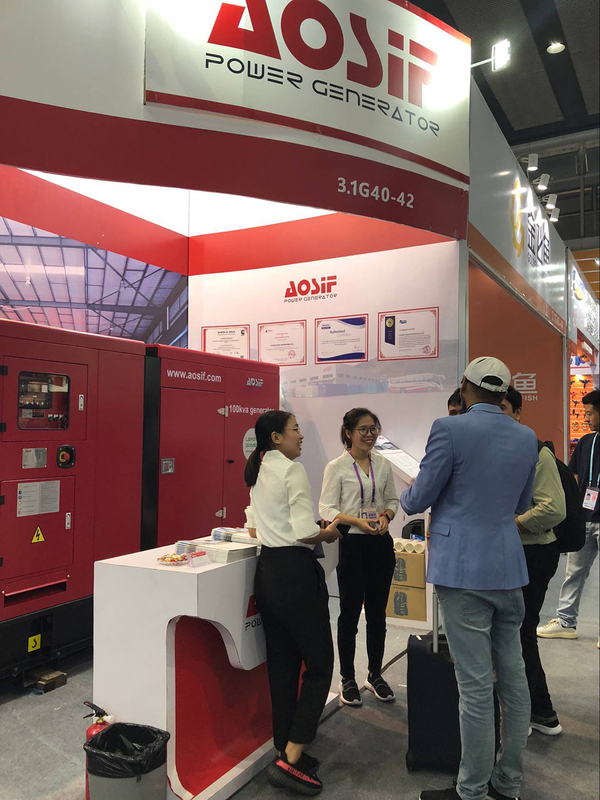 Customers satisfied the quality of AOSIF products, and exchanged contact information with AOSIF staffs, also expressed their wellings to cooperate with AOSIF. 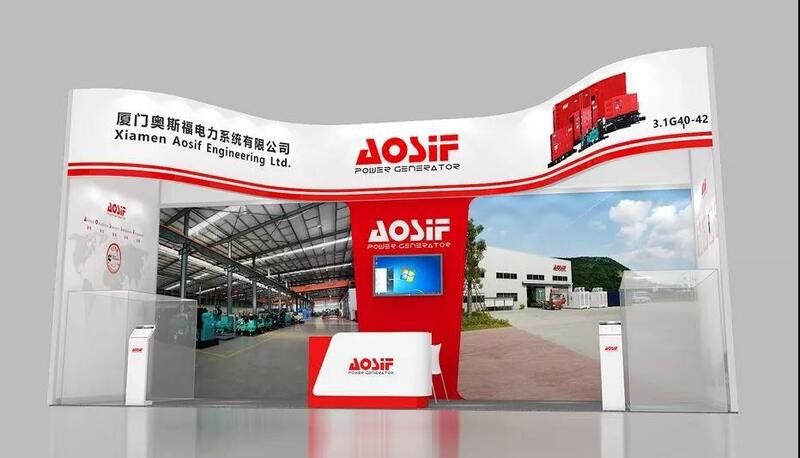 Many clients has contacted us for terms and conditions of contract, and some of them are welling to be agent of AOSIF. 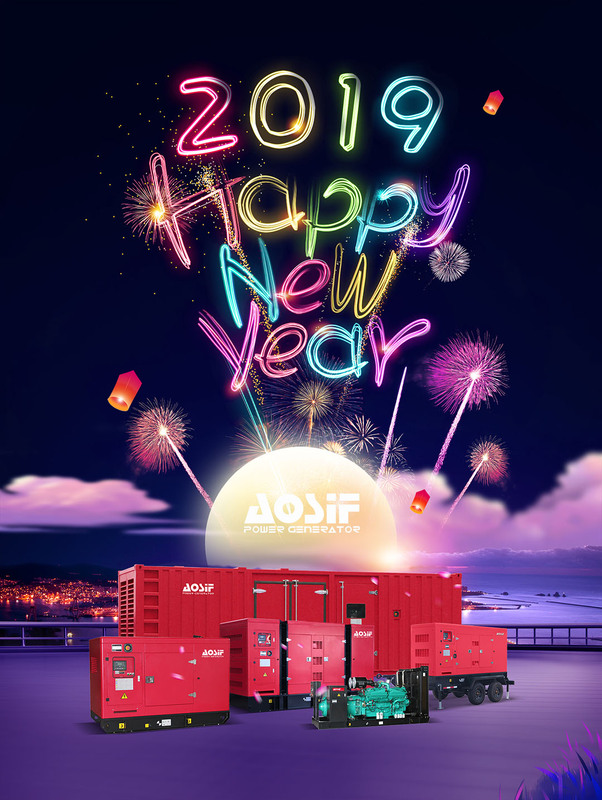 As a professional Generator set manufacturer, the Vision of AOSIF is “The world’s famous brand, establish industry benchmark”, hold with “continuous improvement”, “striving for excellence”, “reach maximum customer satisfaction” quality idea, unstoppable creative improvement, for establishment of human being, provide the source of electricity.